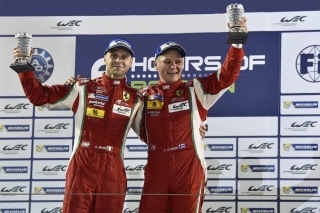 Sakhir, 15 November– Gimmi Bruni and Toni Vilander are this year’s FIA World Endurance Champions in the LMGTE-Pro category. 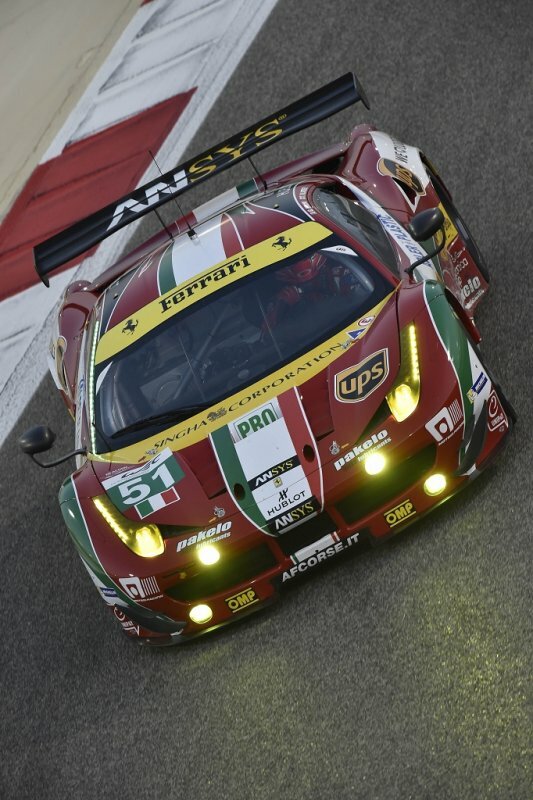 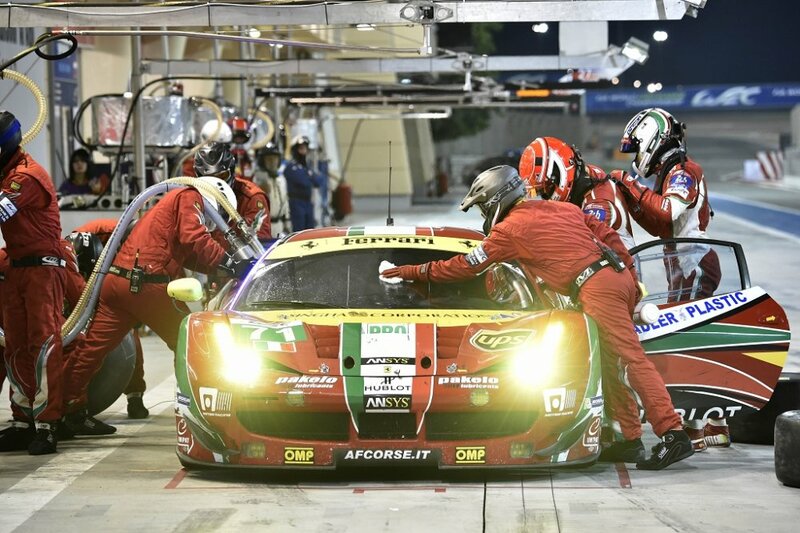 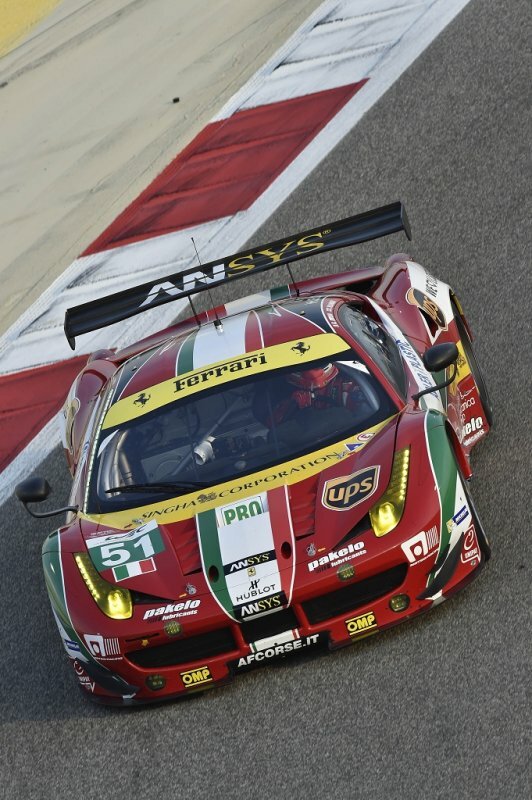 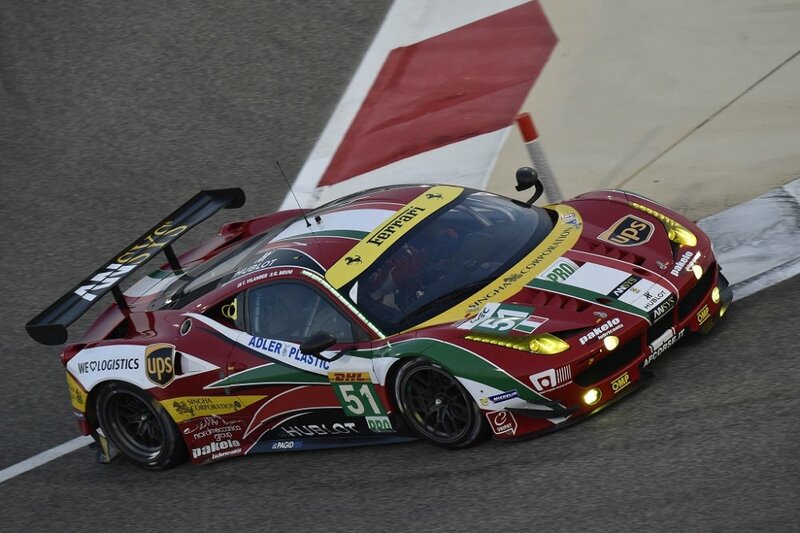 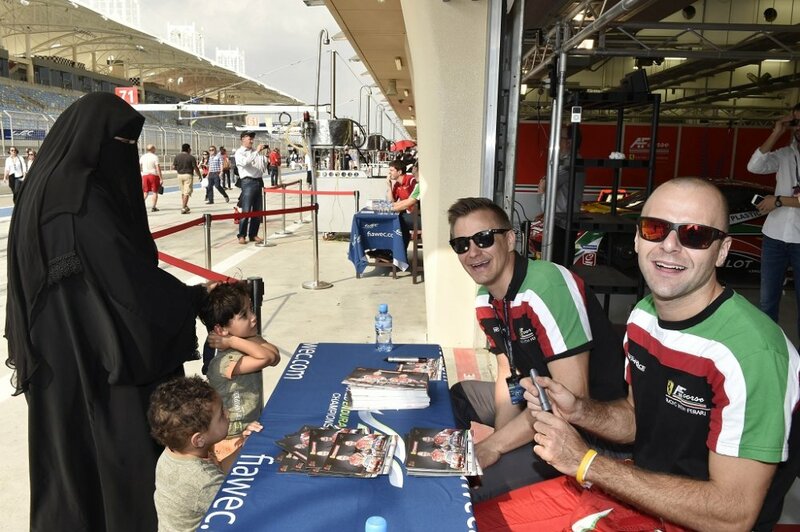 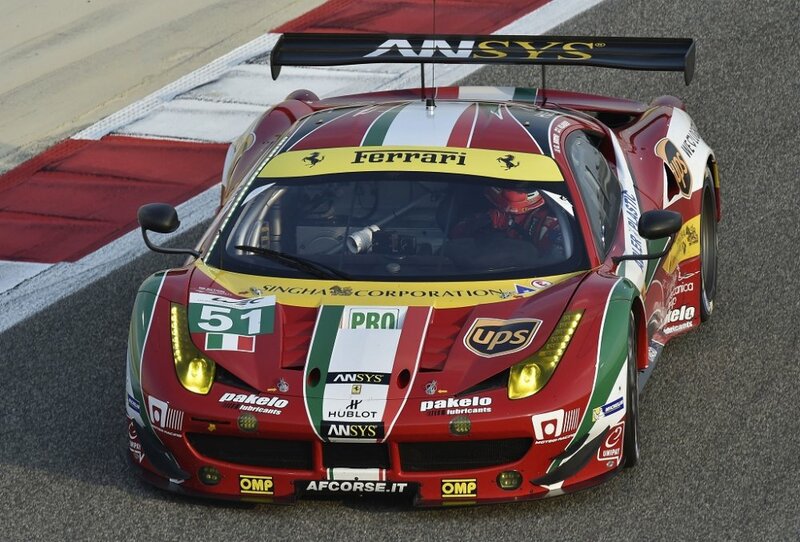 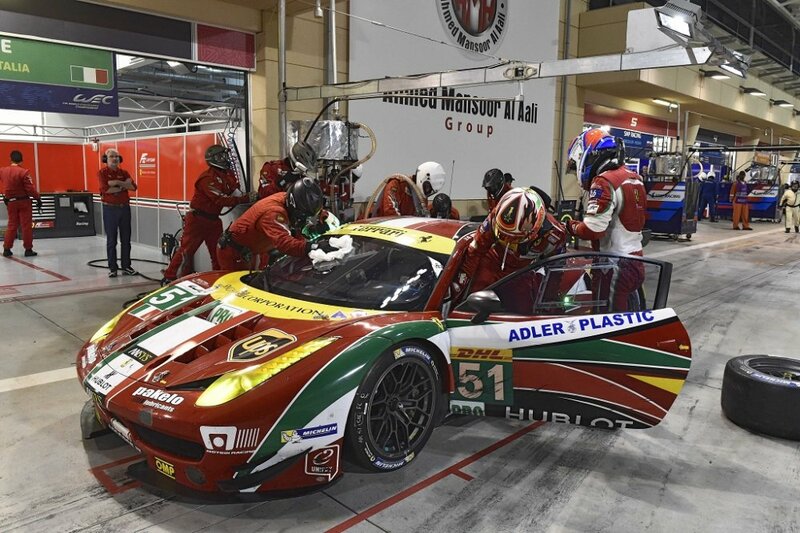 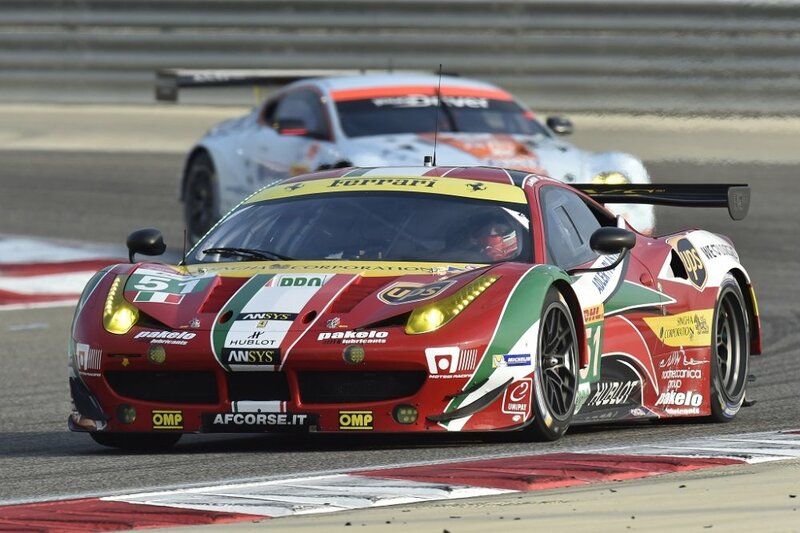 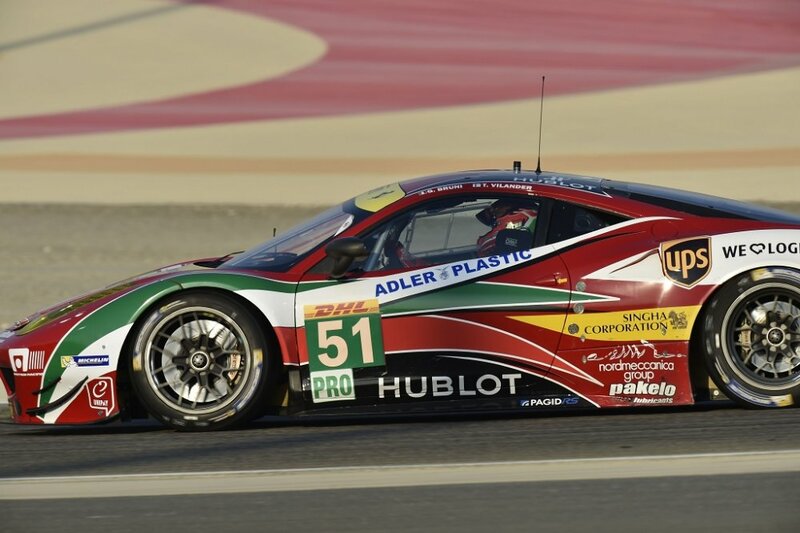 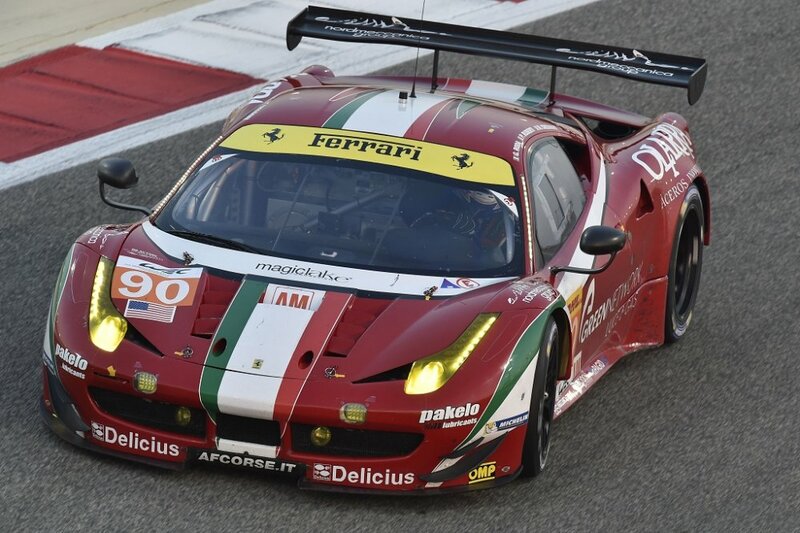 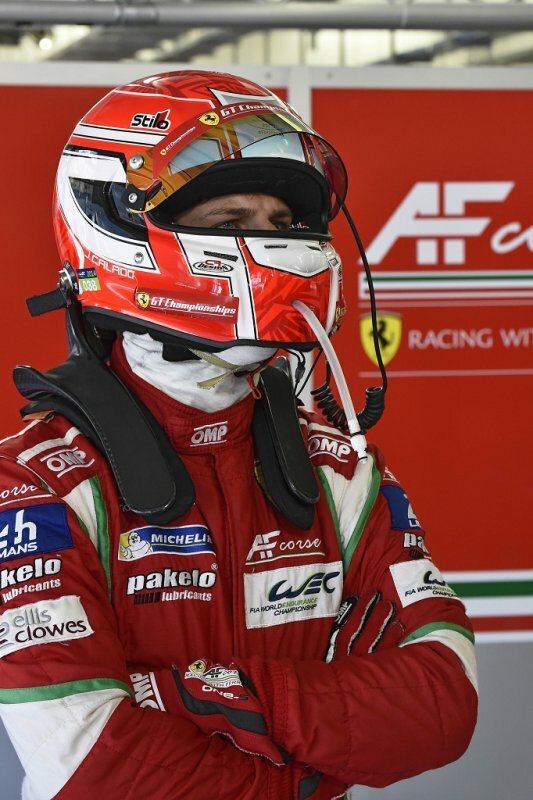 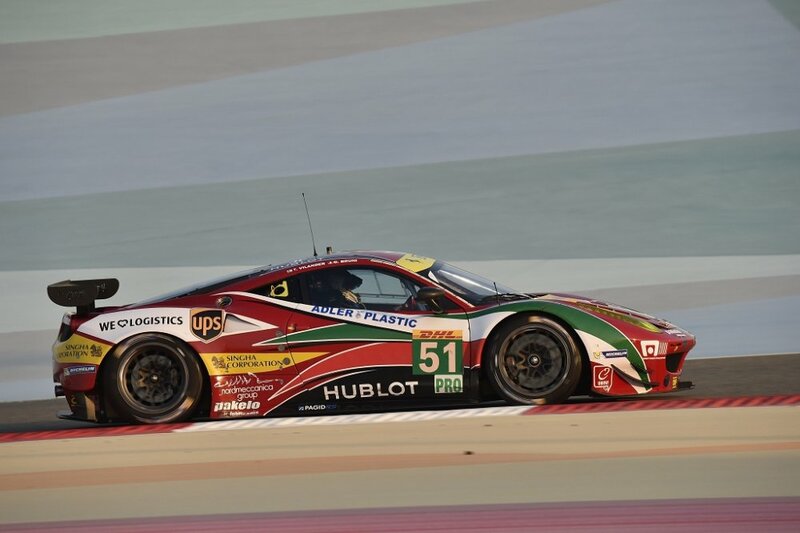 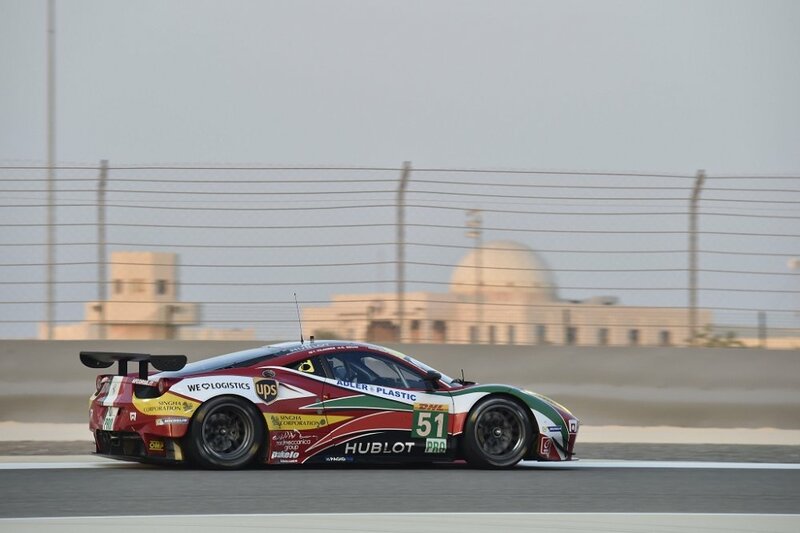 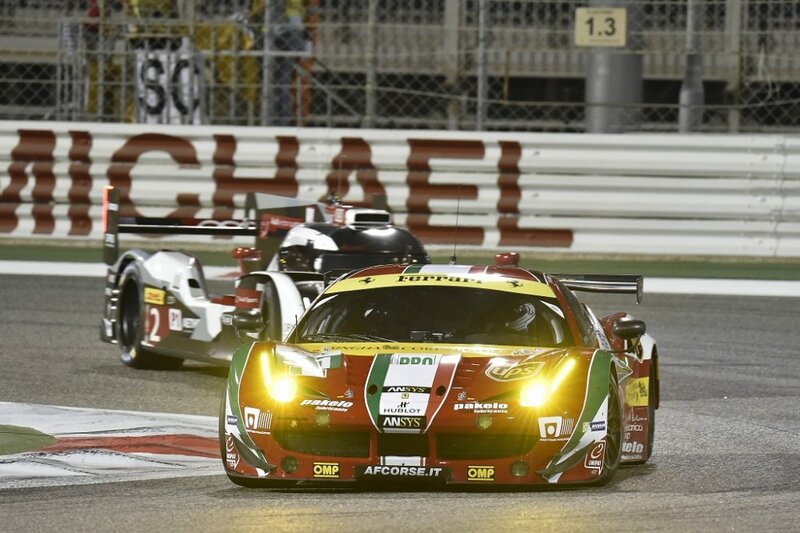 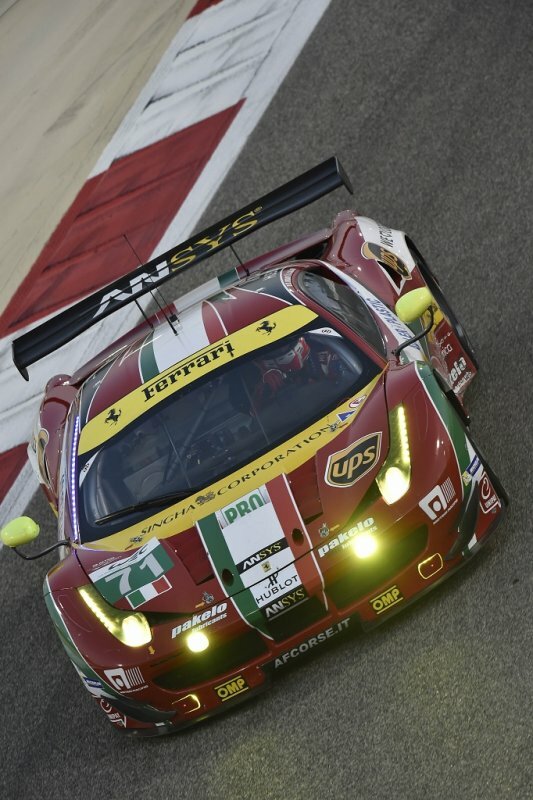 Driving the Team AF Corse number 51 458 Italia they did it in the best way possible, also taking the win in the Bahrain 6 Hours at the Sakhir circuit, beating the Aston Martin of Darren Turner and Stefan Mucke and the 71 Ferrari of team-mates James Calado and Davide Rigon. 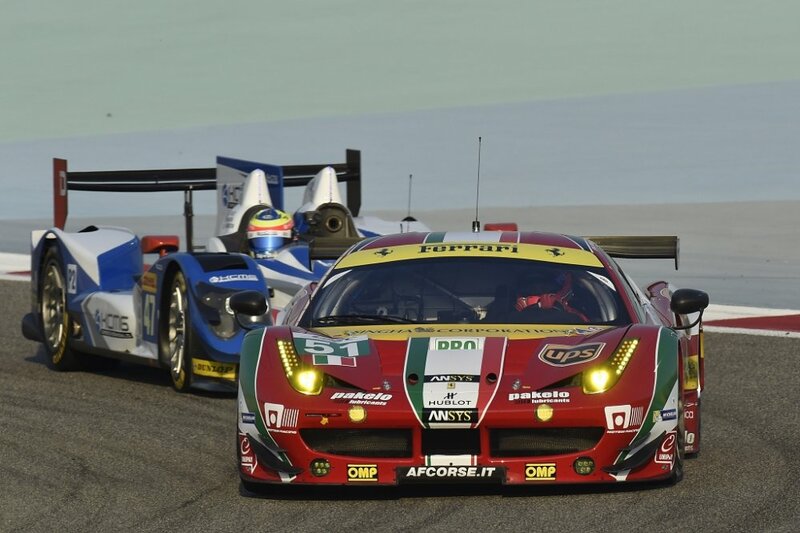 Totally dominant. 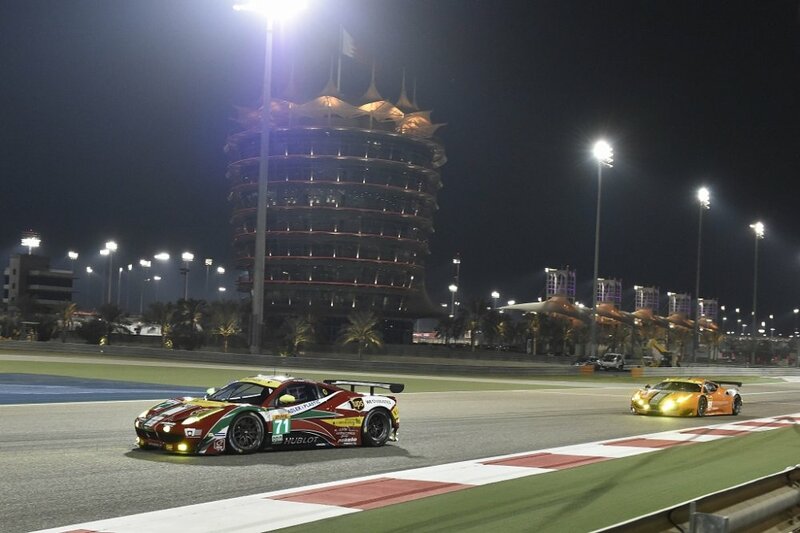 Having started from second, the 51 car soon took the lead thanks to a great first stint from Bruni, who with his usual foot-down style never considered simply controlling the situation, but chose to attack to avoid any possible loss of concentration. Toni Vilander made the most of all his experience, managing the car perfectly, helped by the fact their closest rivals for the title in the Porsches, were never in the running. 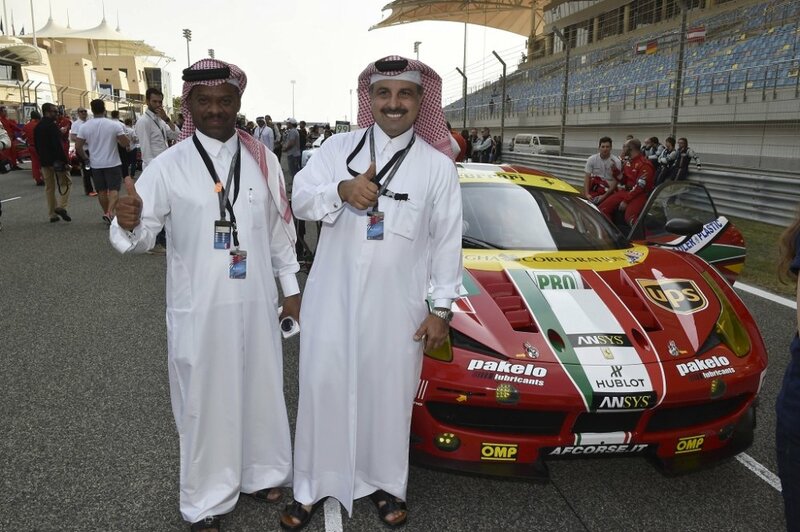 Doubly happy. 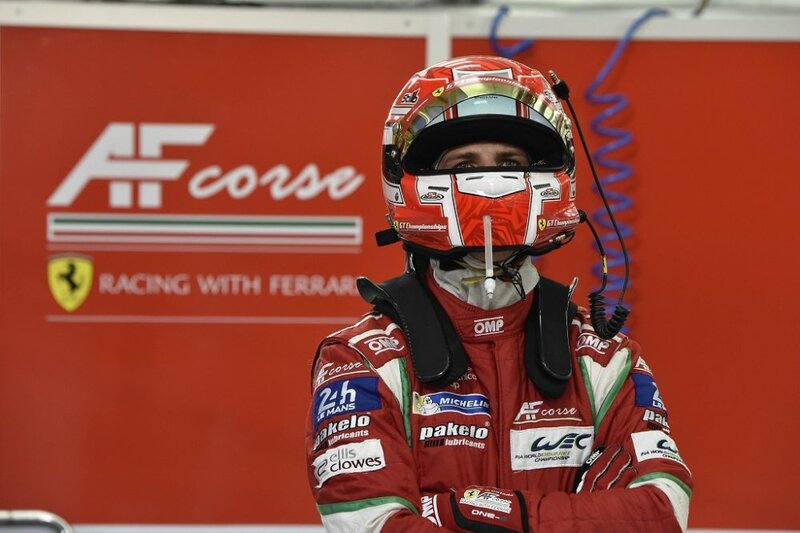 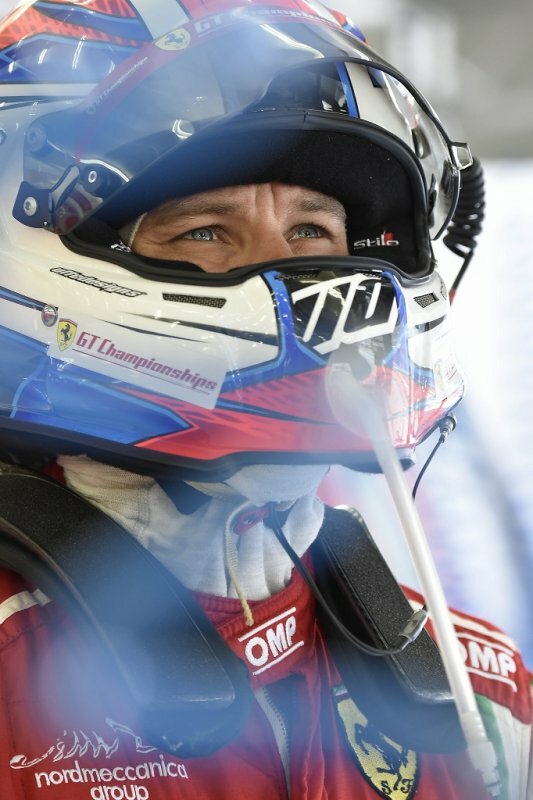 Apart from Bruni and Vilander taking the title, the fact that the Porsche of Patrick Pilet and Frederic Makowiecki only came home fifth means that AF Corse has taken the teams prize with one race in hand. 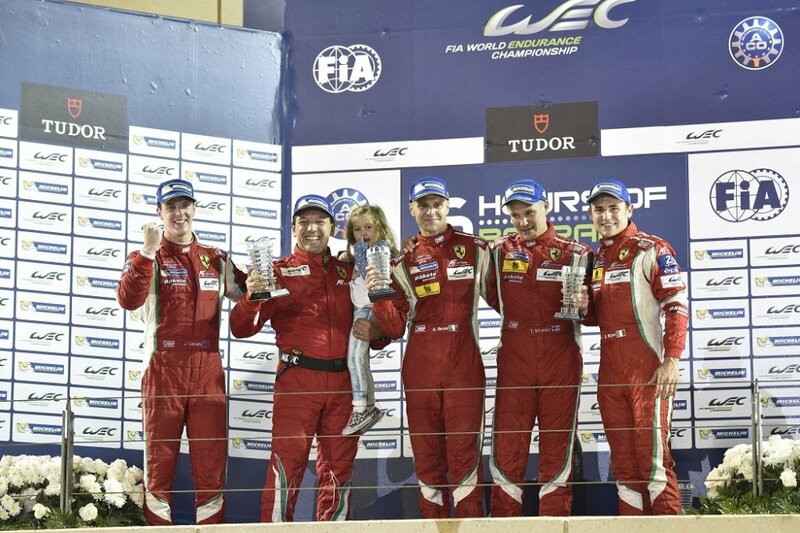 The Amato Ferrari-run squad pretty much owns this trophy having won the teams’ title since WEC came into being. 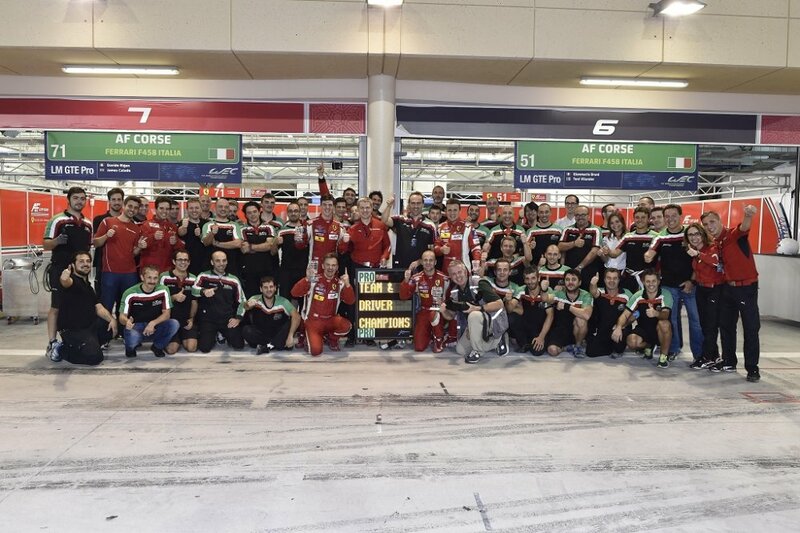 The Italian team thus takes its third title in three seasons. 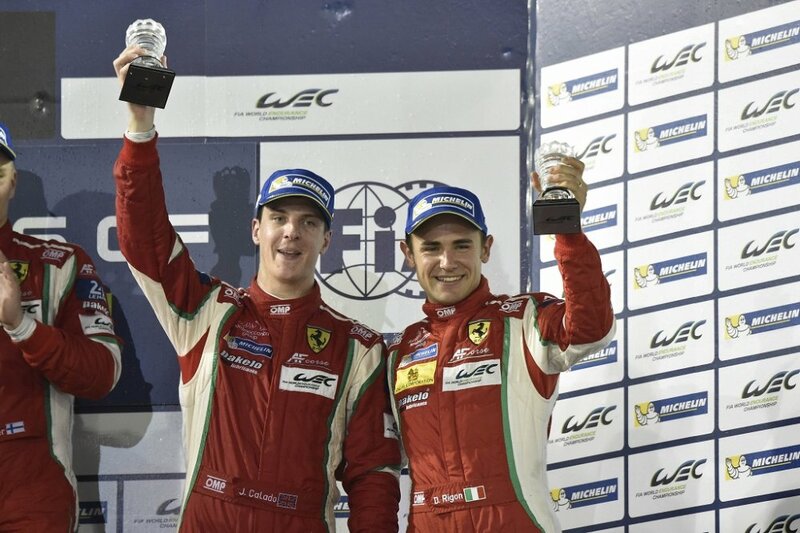 One can say the same for Gimmi Bruni who repeated his 2013 title-winning achievement, because in 2012 there was no specific classification for GT drivers. 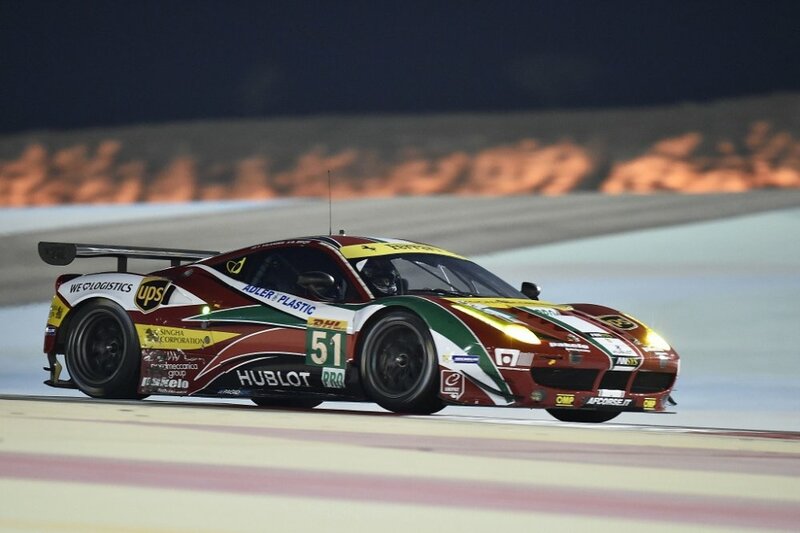 The crew of car 51 has really enjoyed the perfect season, having already won its class in June in the legendary Le Mans 24 Hours. 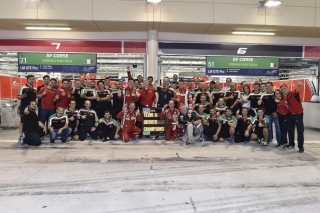 For this season to be truly unforgettable, Ferrari still has to take the constructors’ crown, a mission that will have to wait until the final round, in a fortnight’s time in Interlagos, Brazil. 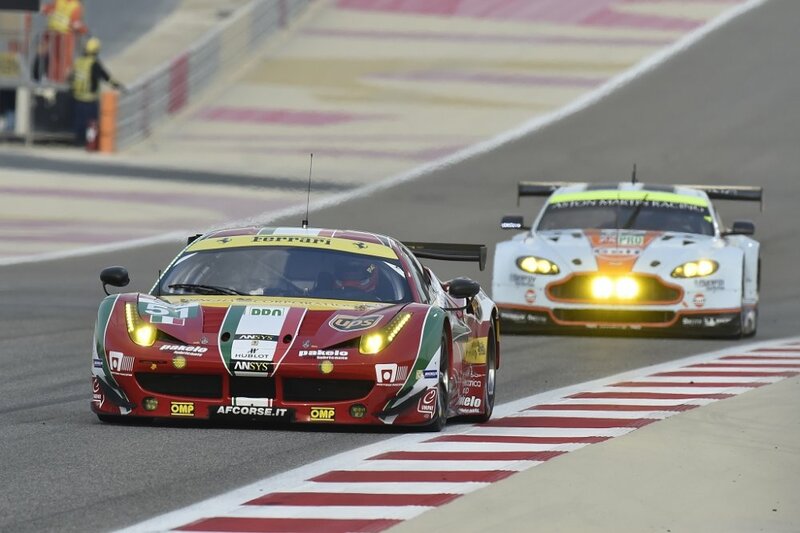 Sakhir, 14 November- In pole position ancora una volta l’Aston Martin che domani partirà dalle prime posizioni sia nel raggruppamento Pro che Am. 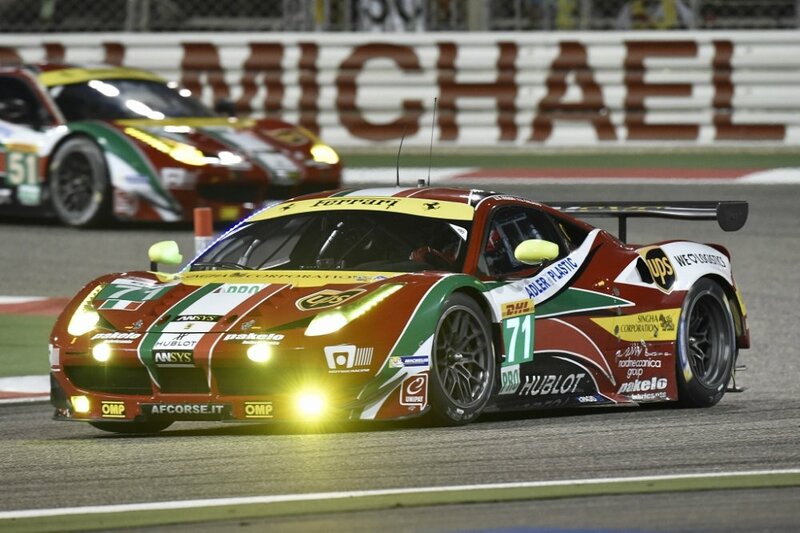 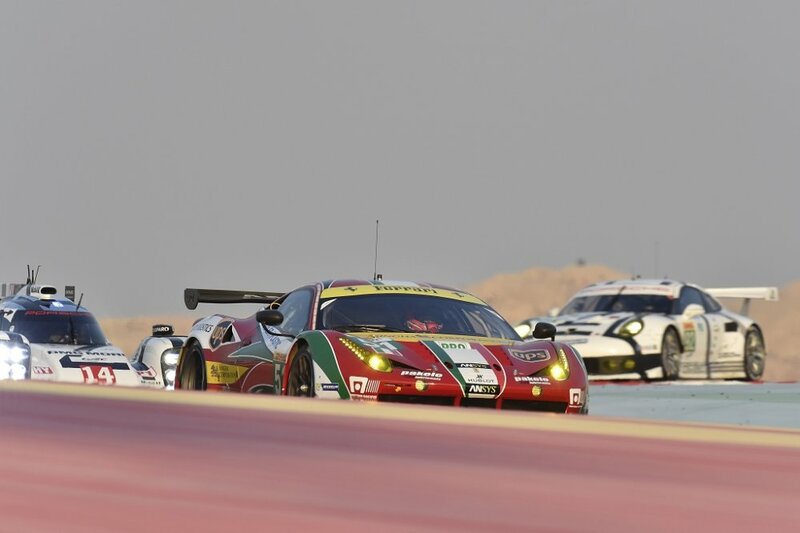 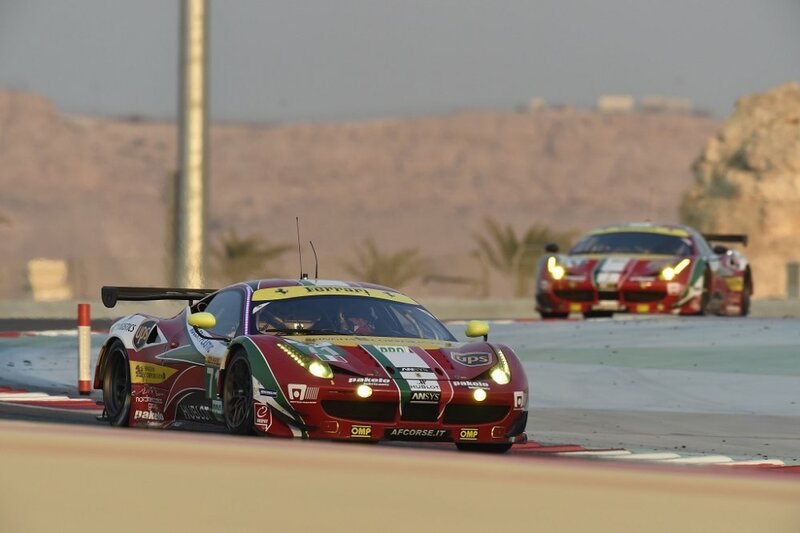 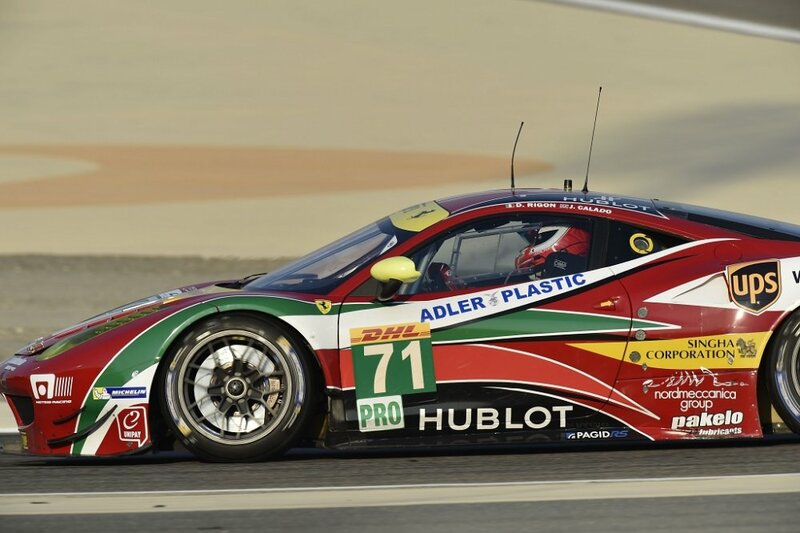 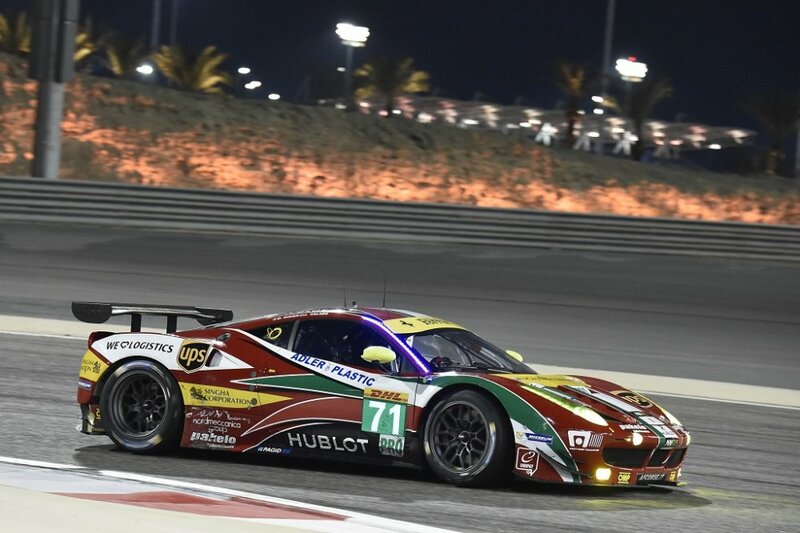 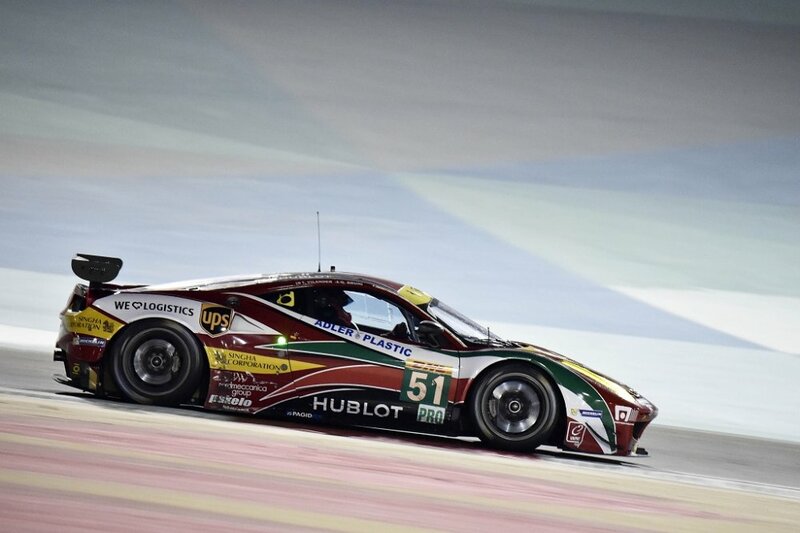 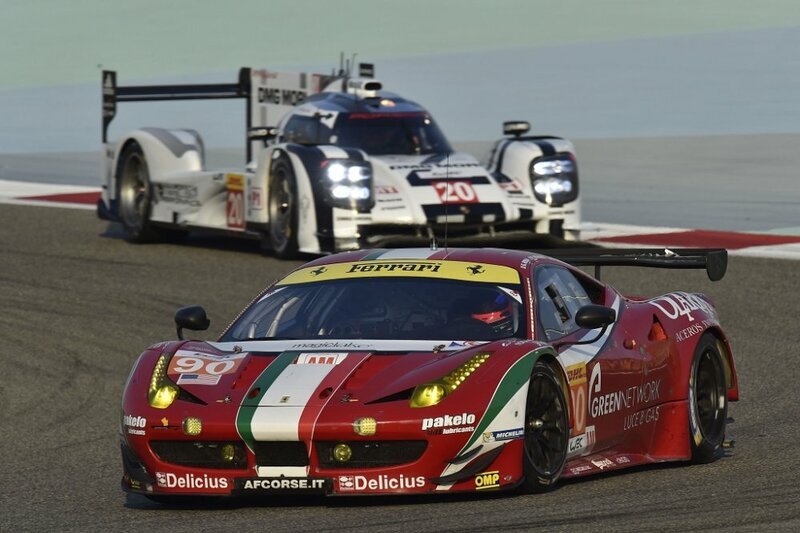 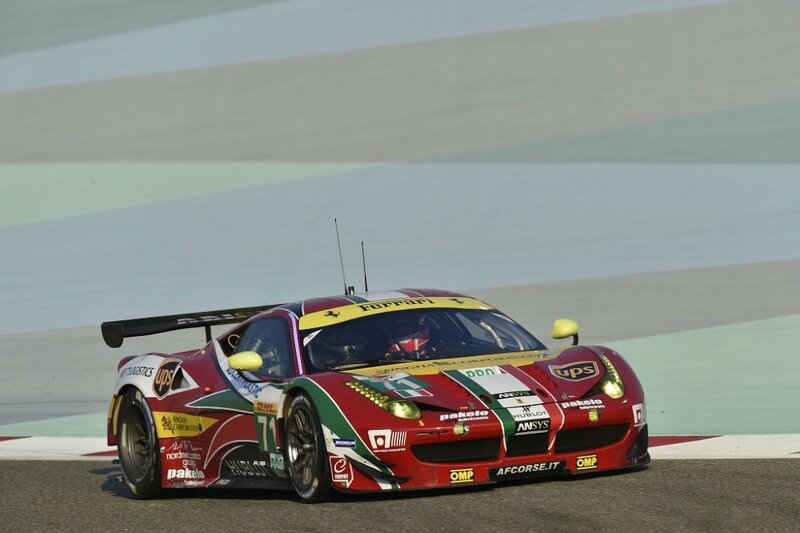 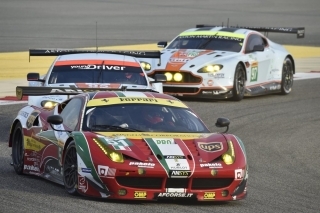 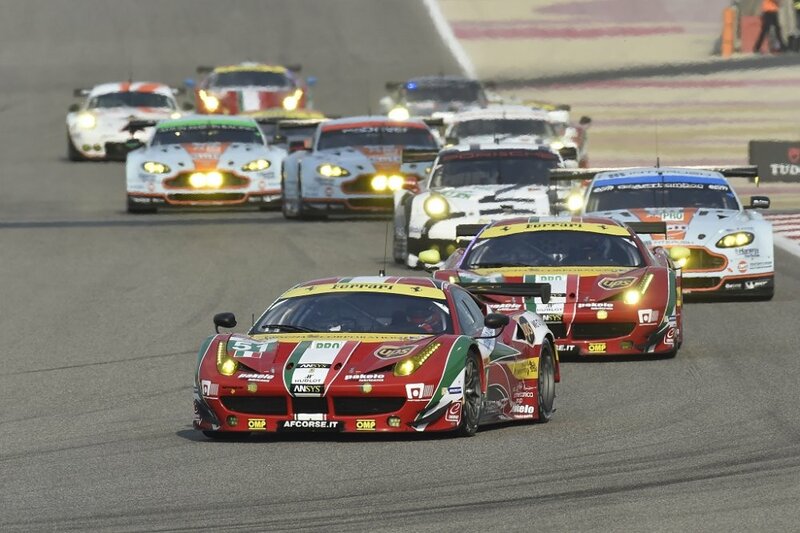 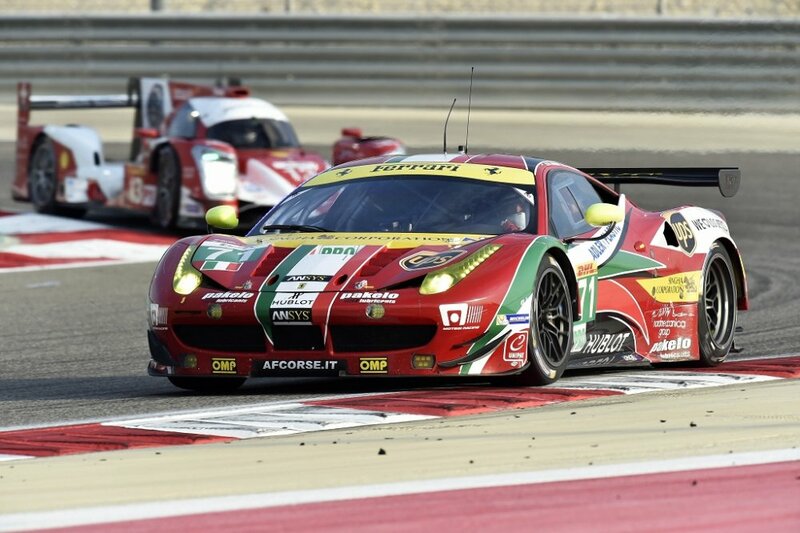 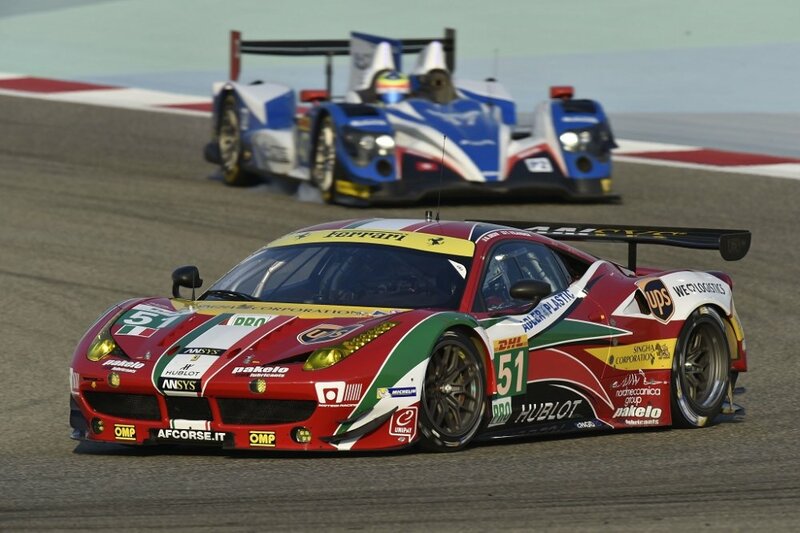 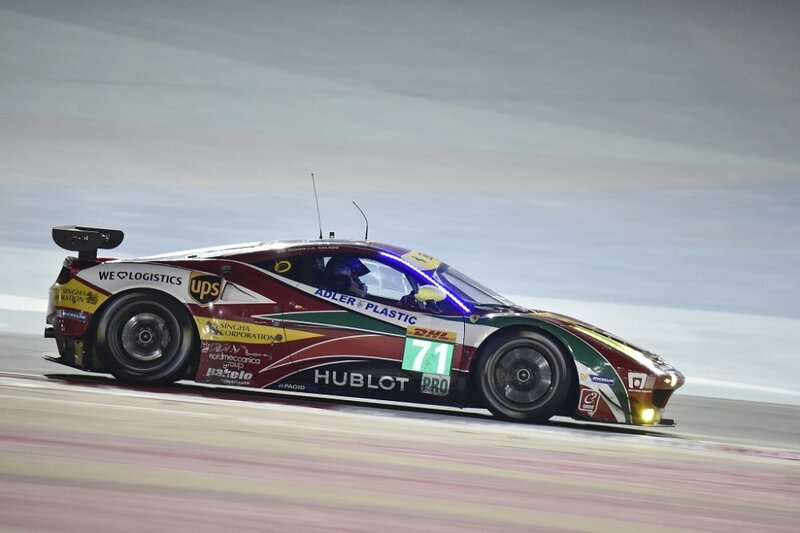 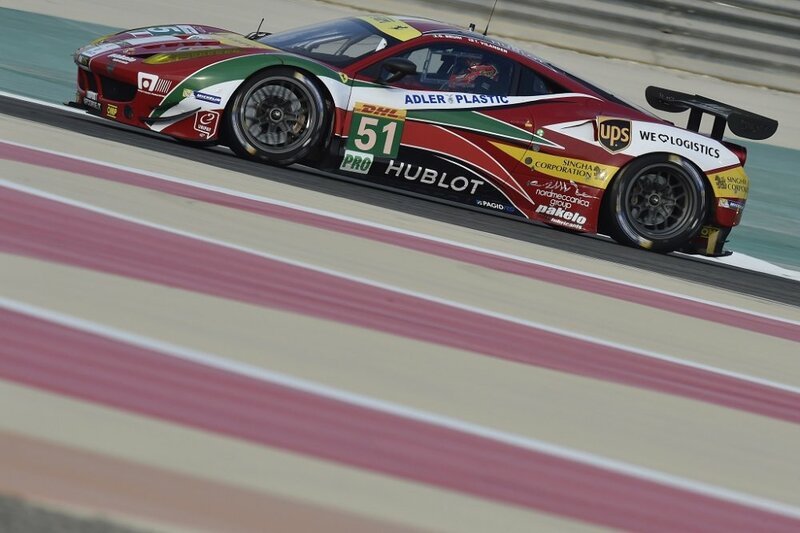 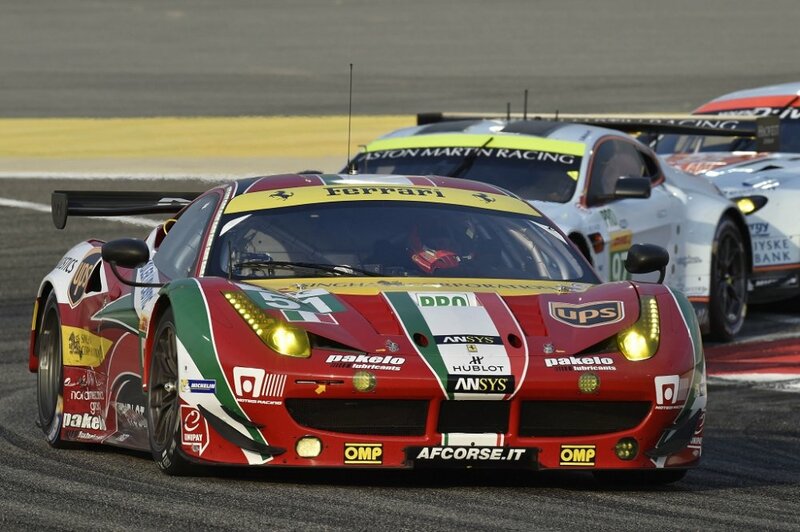 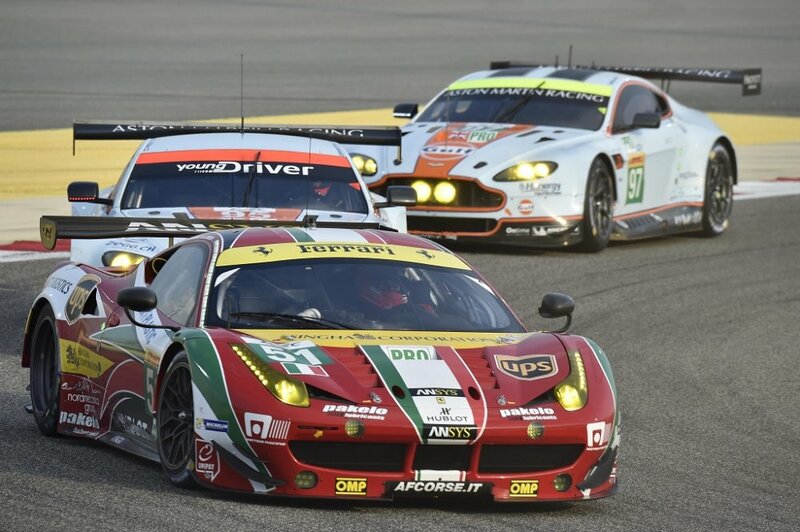 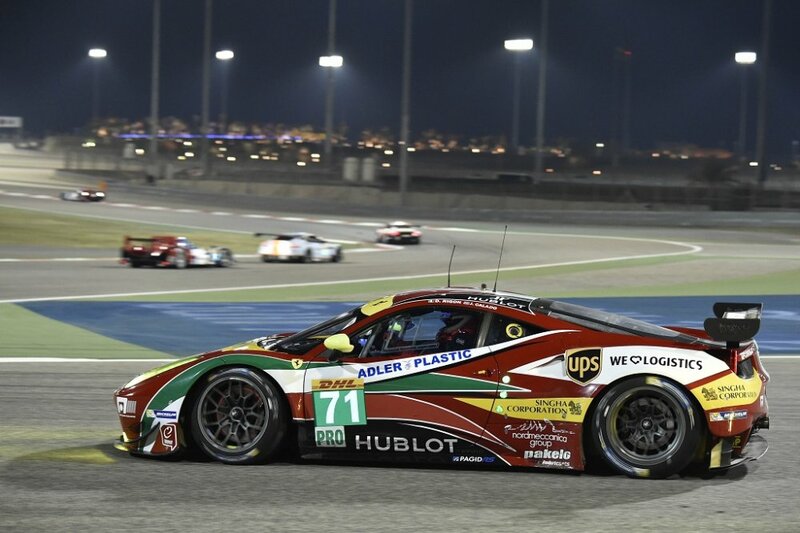 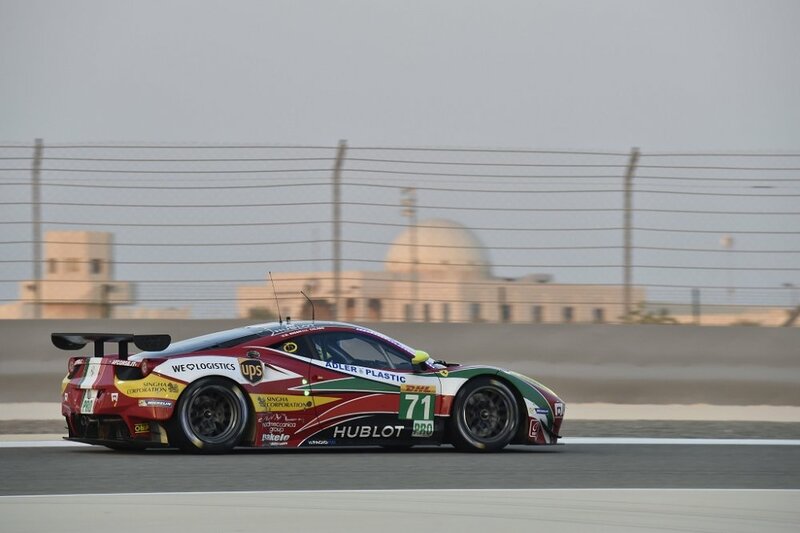 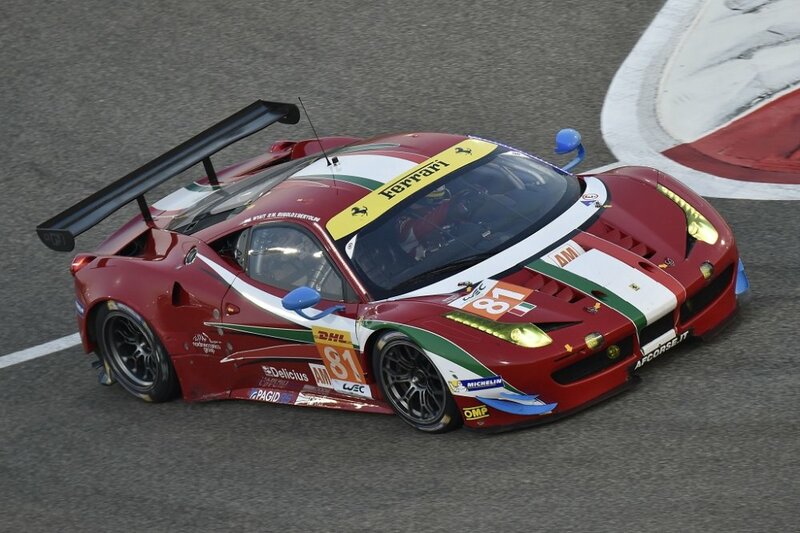 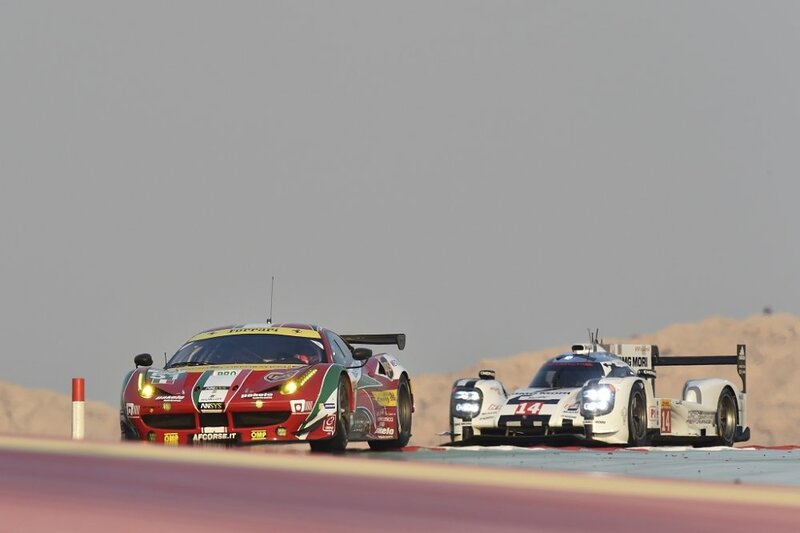 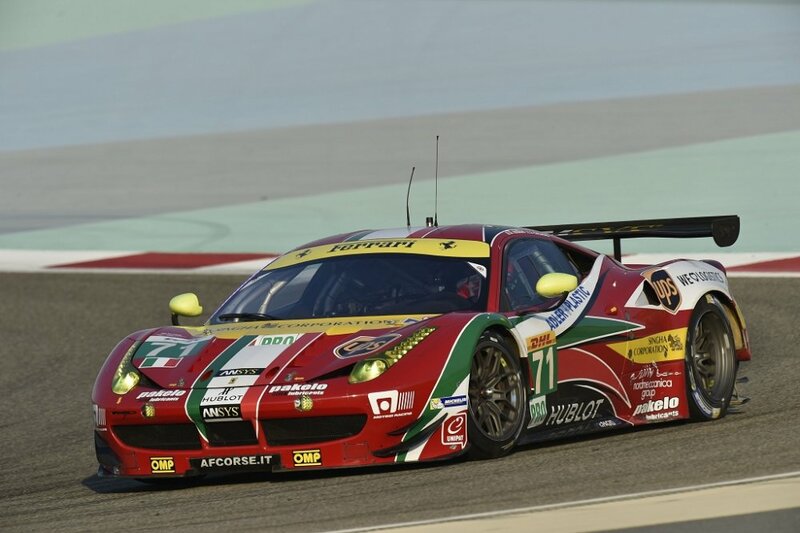 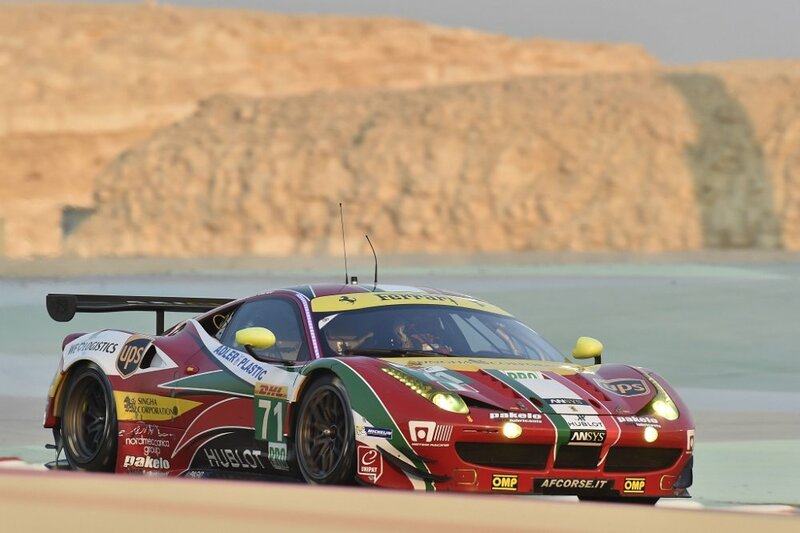 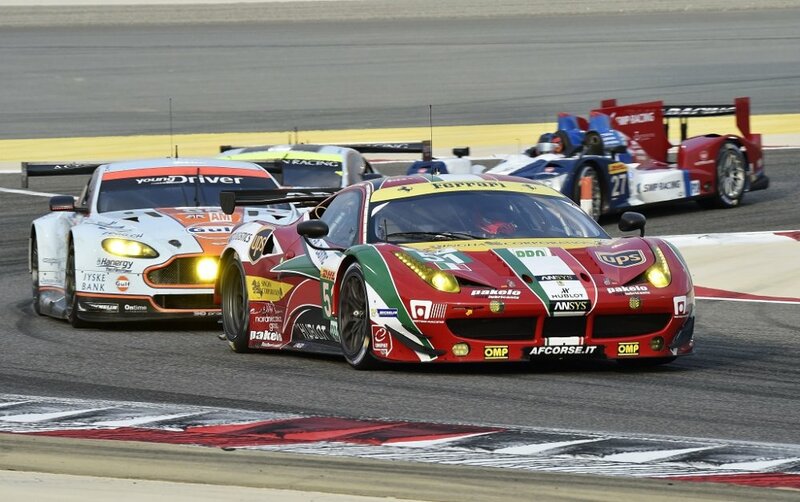 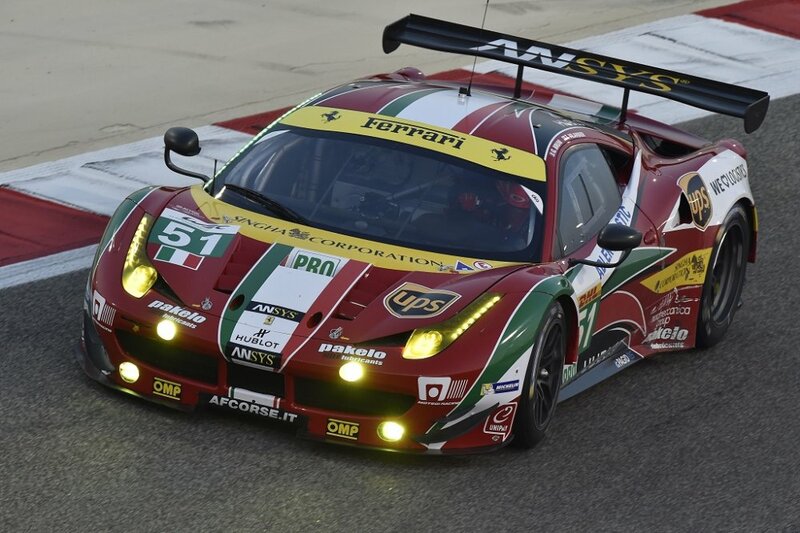 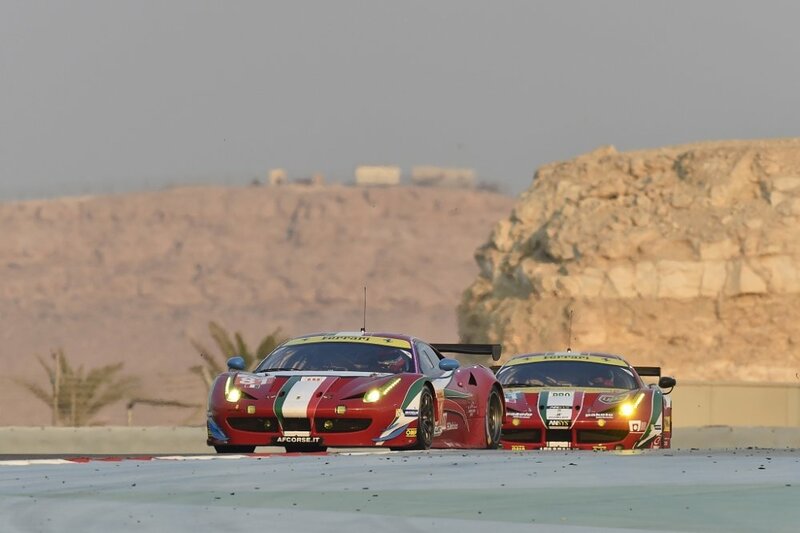 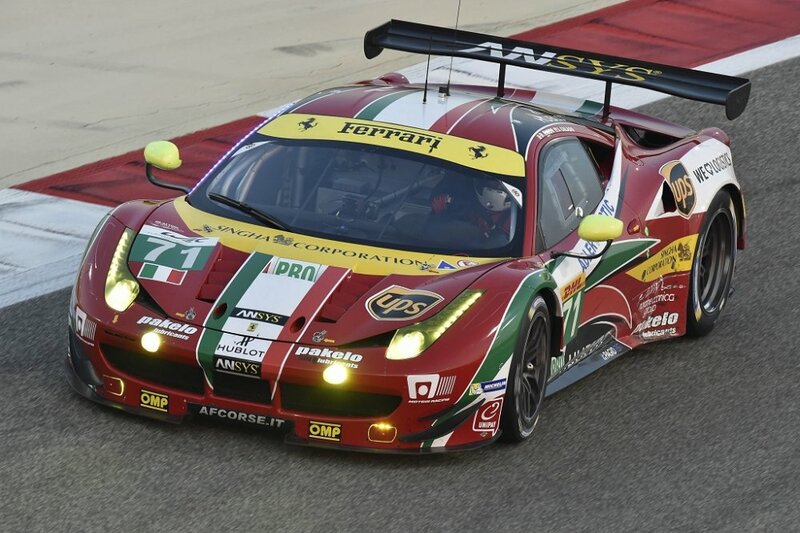 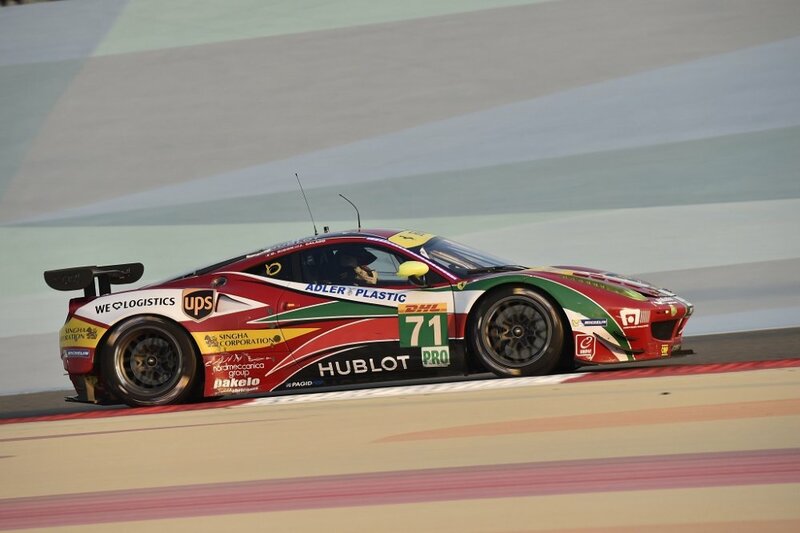 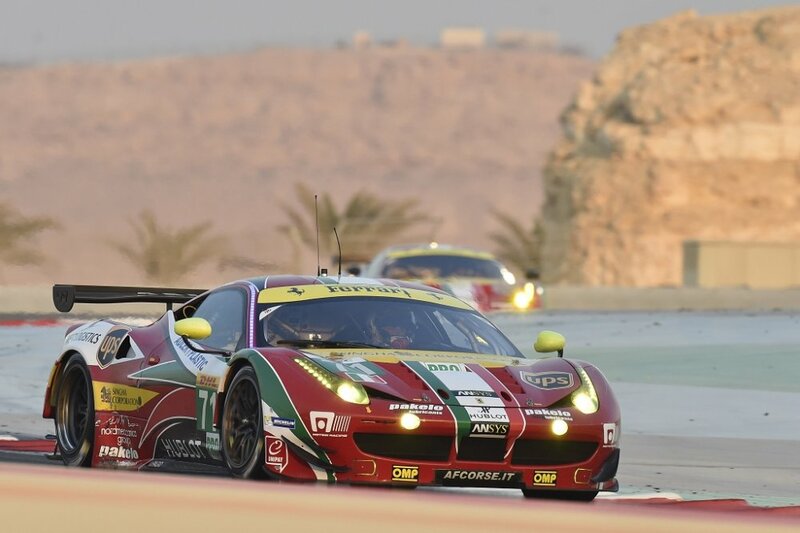 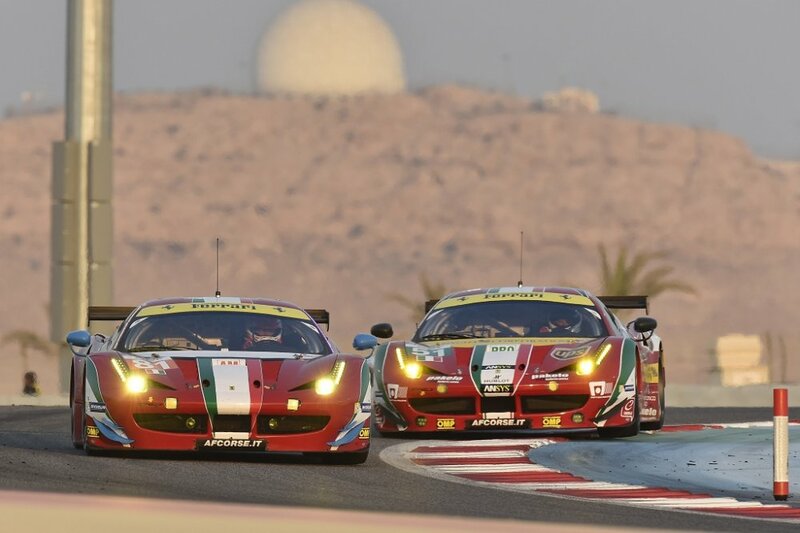 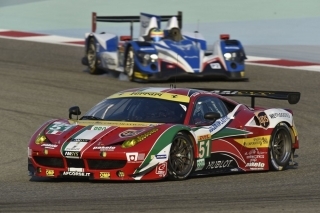 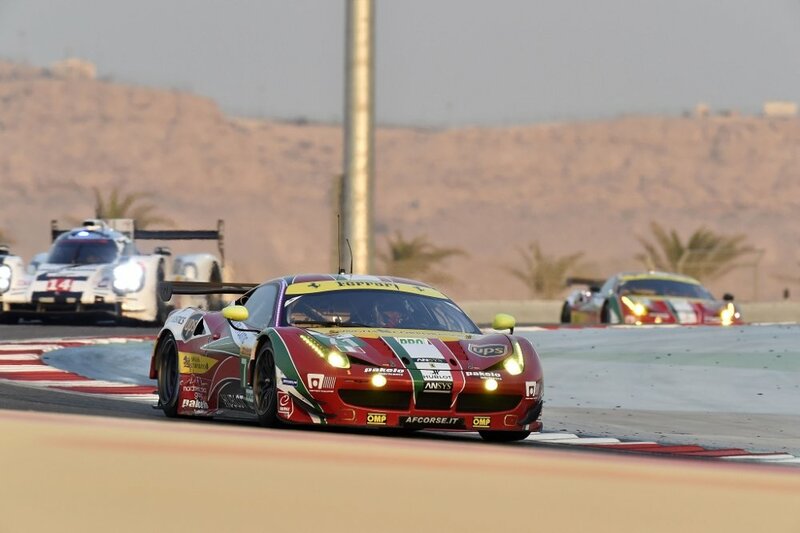 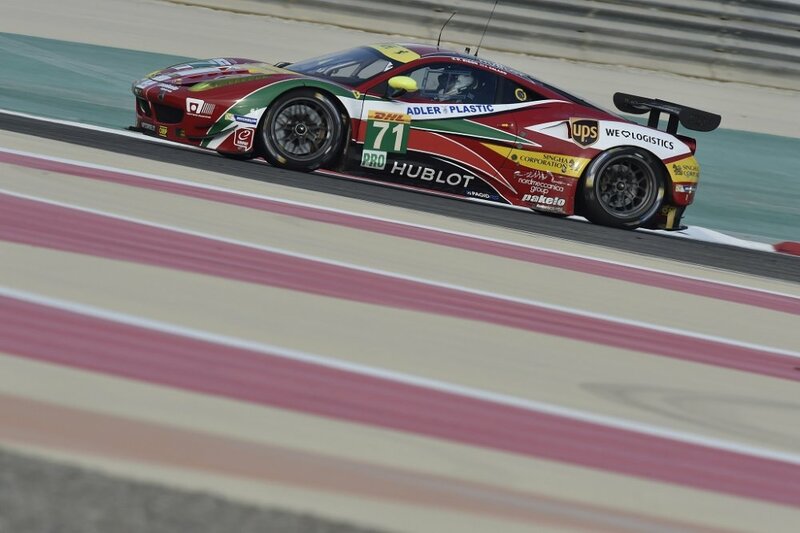 Ferrari got off to a good start in the Bahrain 6 Hours, the penultimate round of the FIA World Endurance Championship. 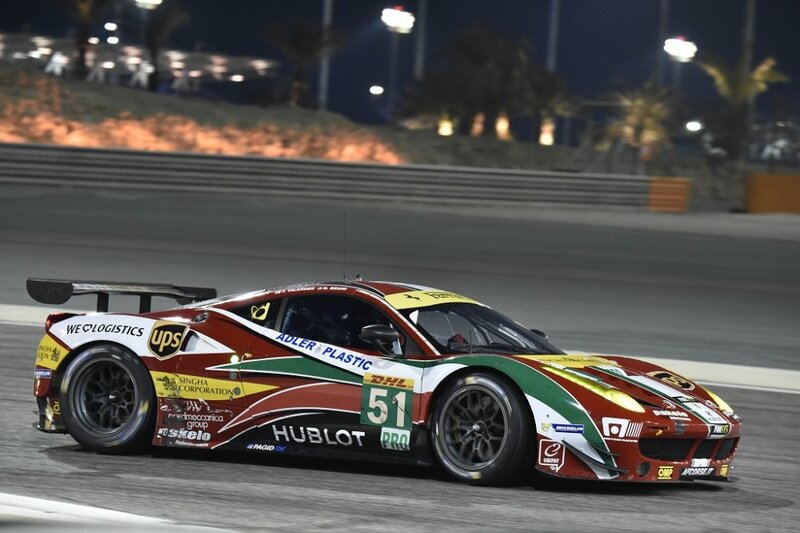 At the Bahrain circuit, Gimmi Bruni and Toni Vilander are back on track after the disappointment of the race in Shanghai. 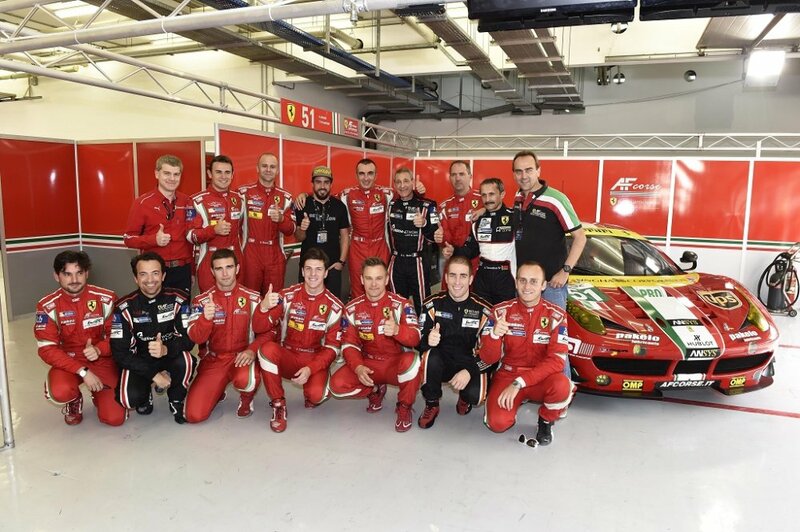 Tomorrow, the AF Corse crew will start from second place, with team-mates Davide Rigon and James Calado right behind them. 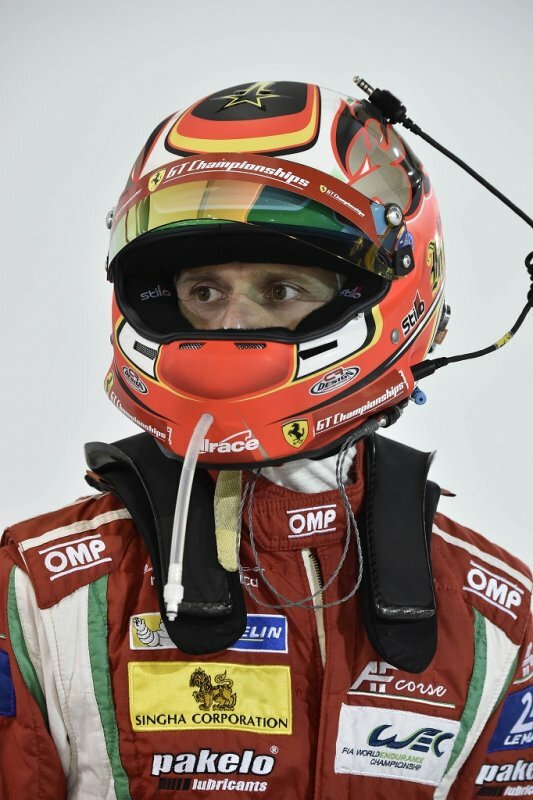 That’s cause for optimism in the Ferrari camp. 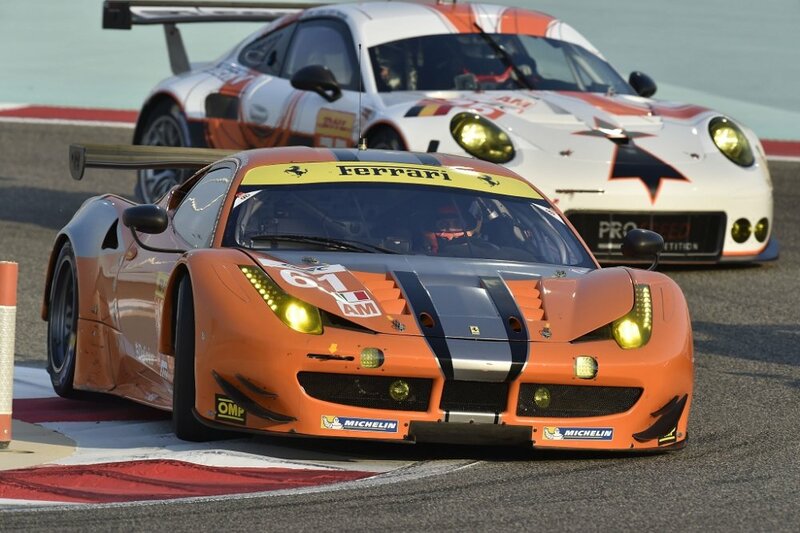 In the GTE Pro class, the Bruni-Vilander pairing could take the prestigious title with one race in hand. 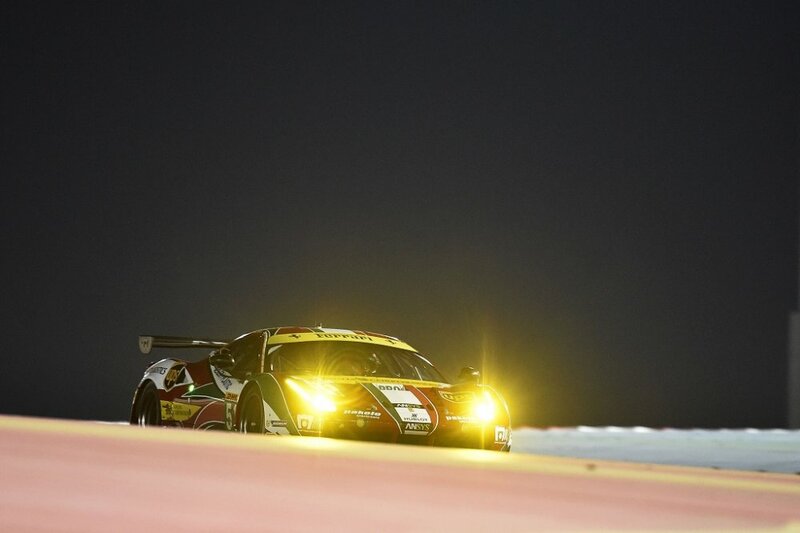 They just need to finish ahead of the Porsche of Frenchman Frederic Makowiecki, irrespective of where they place, with a lead of 24.5 points. 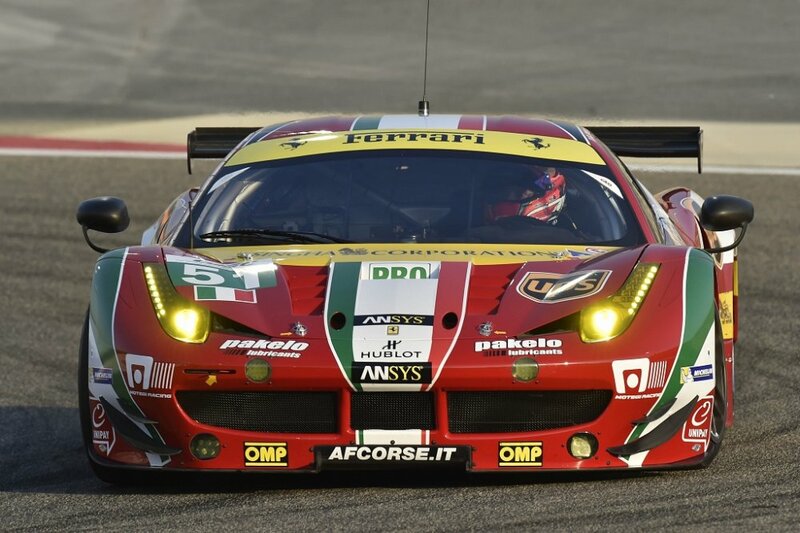 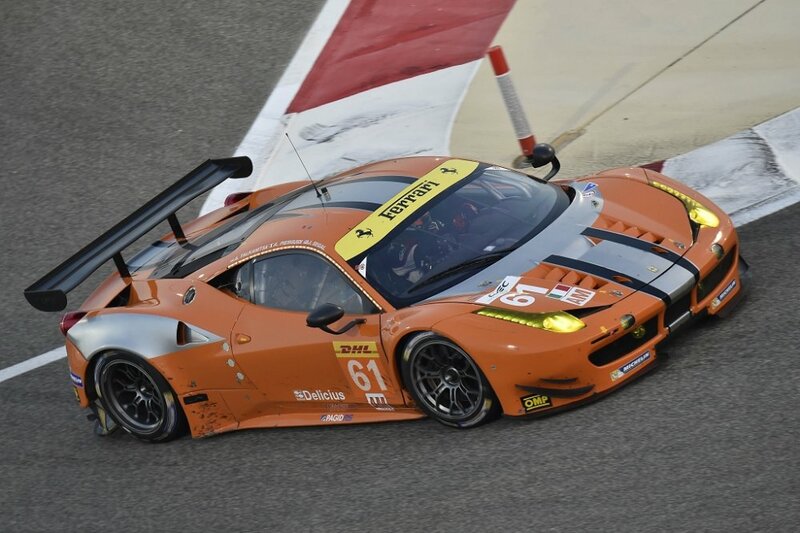 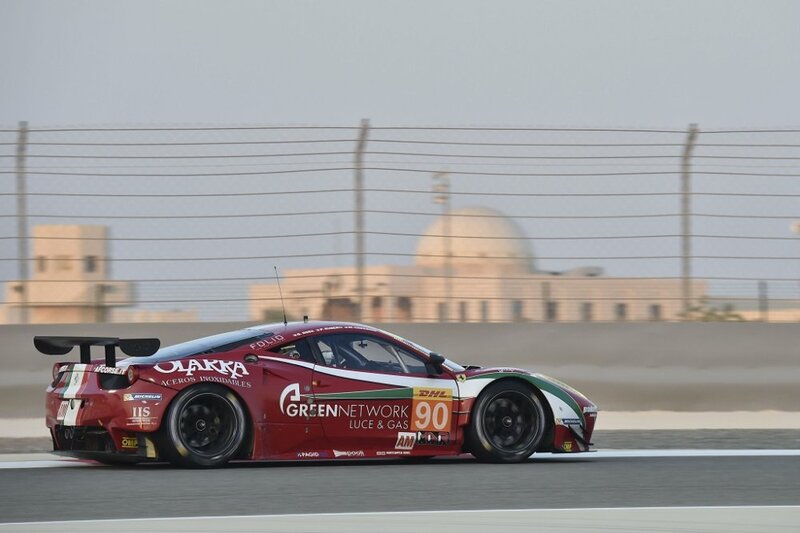 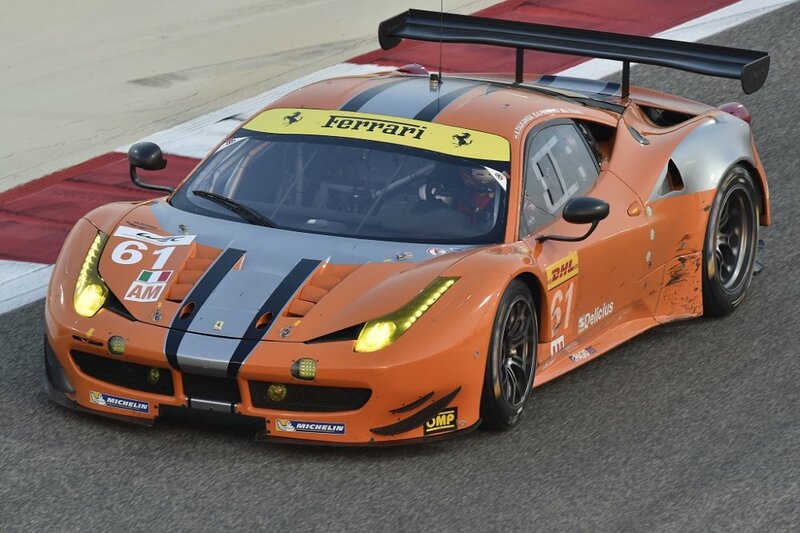 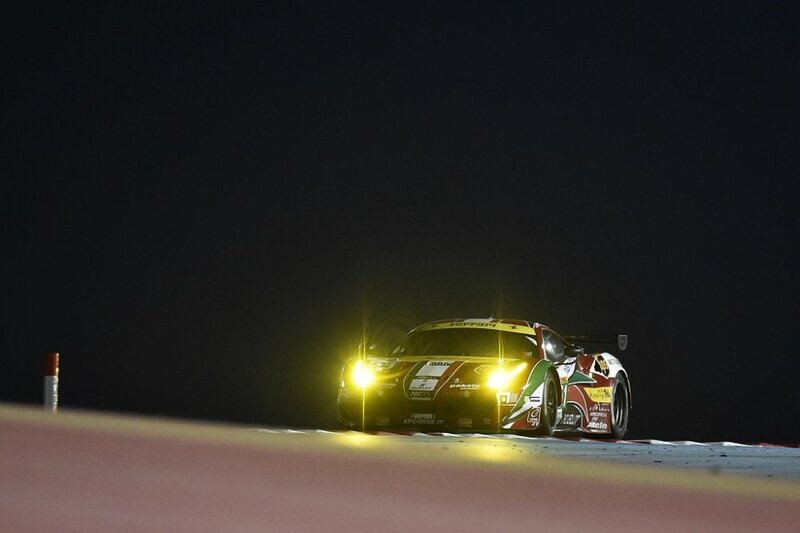 The AF Corse and 8 Star Motorsports Ferrari 458s, were fourth and fifth in the GTE Am class, crewed respectively by Talkanitsa, Pier Guidi and Segal and da Roda, Ruberti, Cressoni. 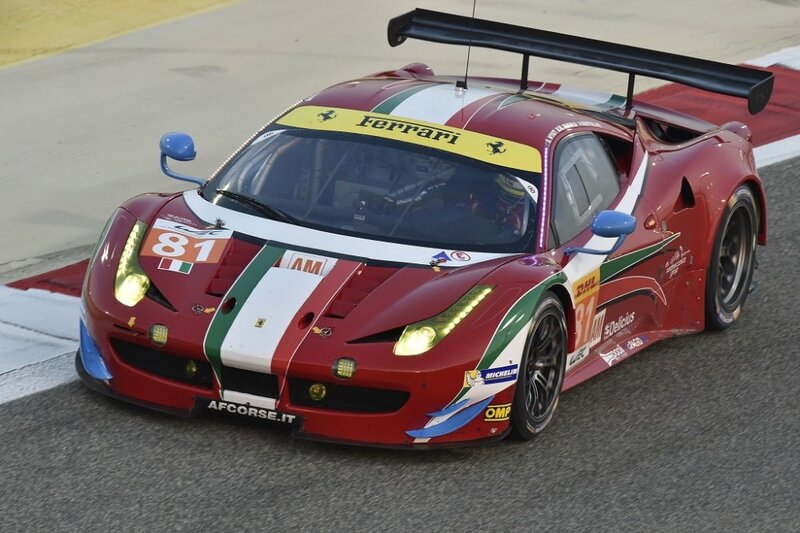 The AF Corse 81 cars driven by Wyatt, Rugolo and Bertolini unfortunately did not take part in qualifying. 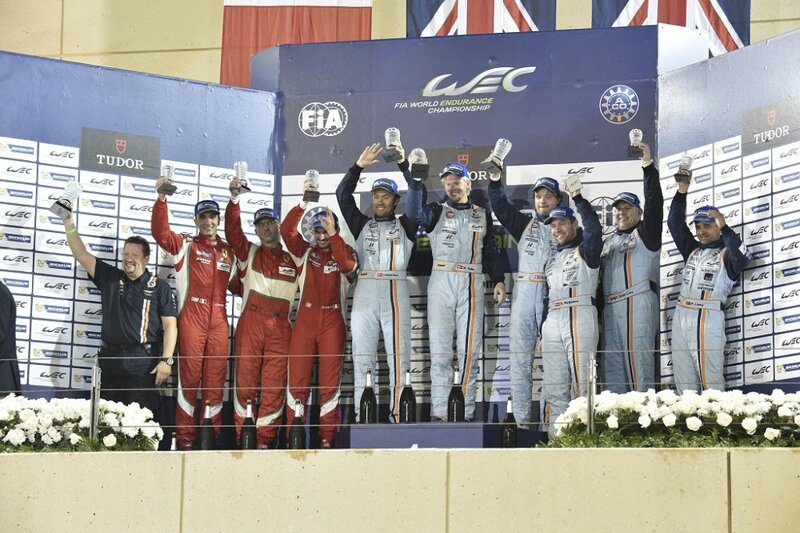 Outright pole position went in the LMP1 category went to the 14 Porsche of Dumas, Jani and Lieb. 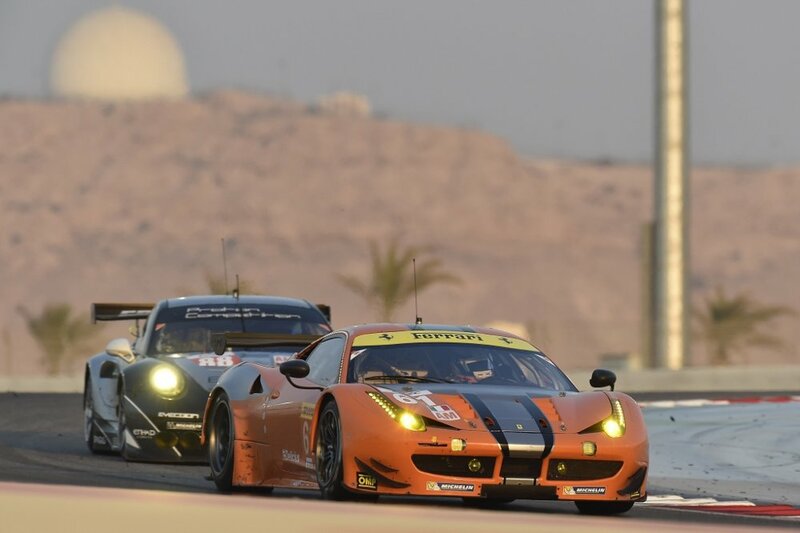 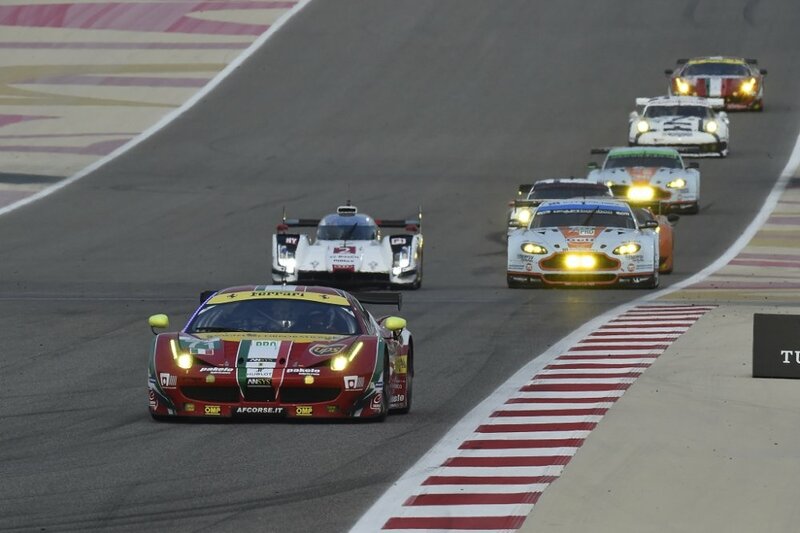 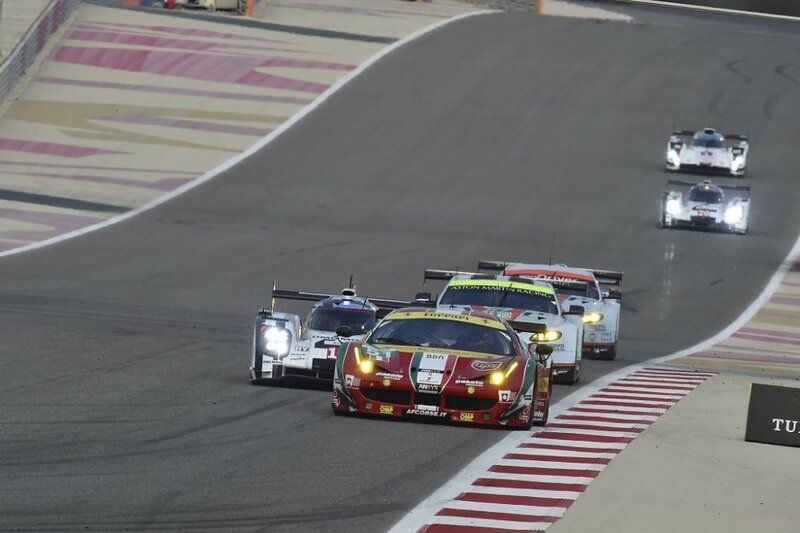 It looks like the Bahrain 6 Hours is going to be a fascinating race and it starts tomorrow, Saturday at 15h00 (13h00 CET) and will end at 21h00 under floodlights. 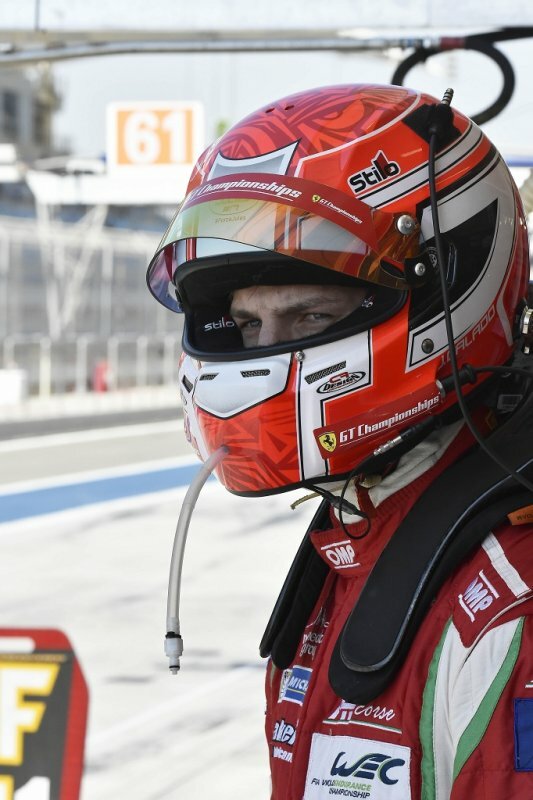 Maranello, 13 November–Gimmi Bruni and Toni Vilander are about to try again. 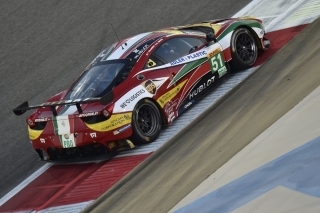 After unfortunately lasting a mere two laps in the Shanghai race, the AF Corse Ferrari 458 crew will be chasing the points they need to take the title this weekend in Bahrain. 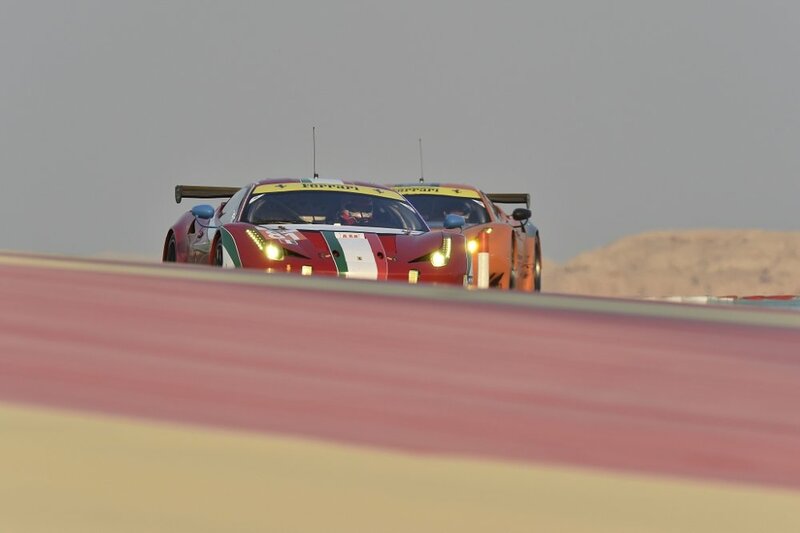 They still have a reasonable lead in the classification and a strong showing in the 6 Hours could see the Italian and Finn take the title with one race in hand. 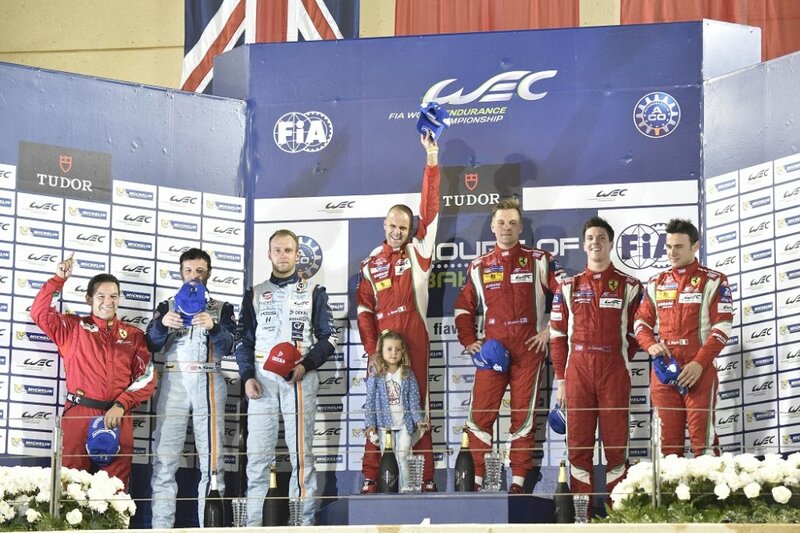 They lead French Porsche driver Frederic Makowiecki by 24.5 points and Austria’s Richard Lietz, in a similar car by 40. 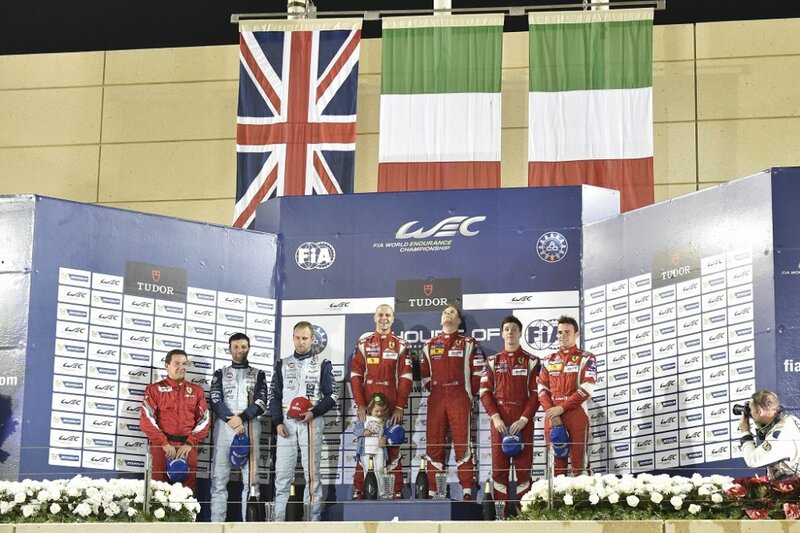 Other titles. 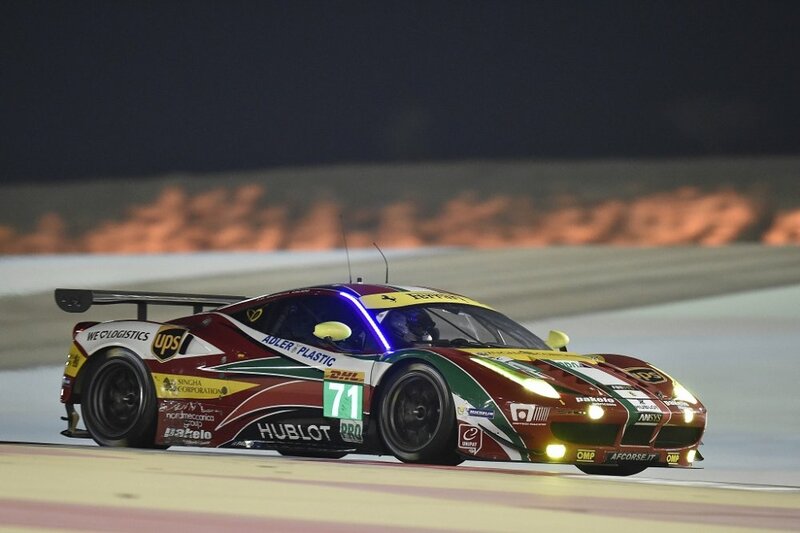 In the other two World Championship classes contested by Ferrari, it looks almost impossible for the titles to be decided here. 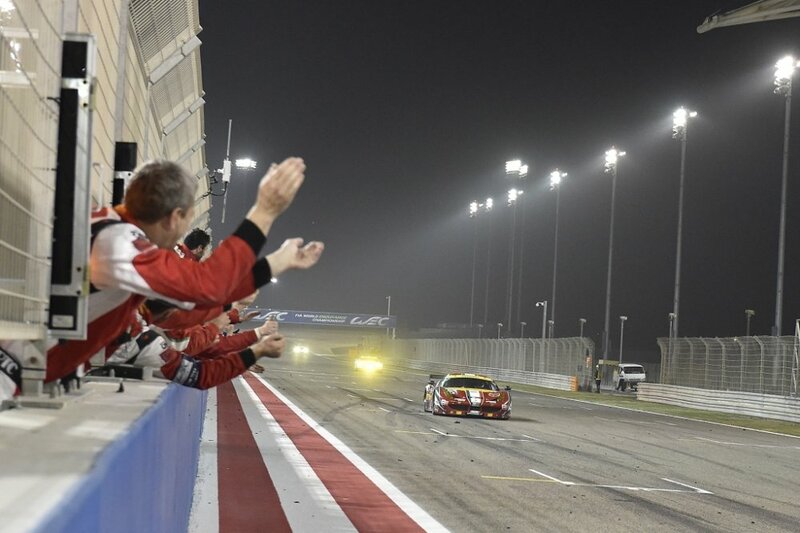 In the Constructors’ the Maranello marque leads Porsche by 7 points, while AF Corse has an 11 point lead over the rival Manthey team. 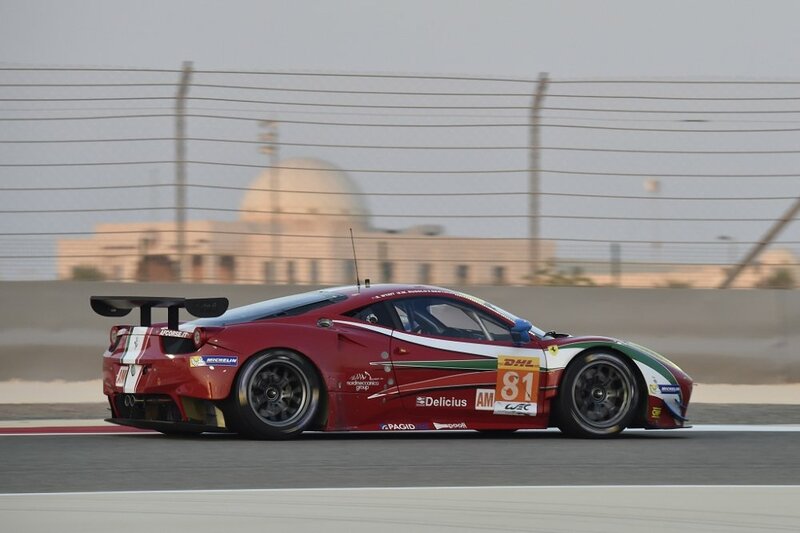 In order to celebrate victory at the Sakhir track the opposition would have to crumble completely. 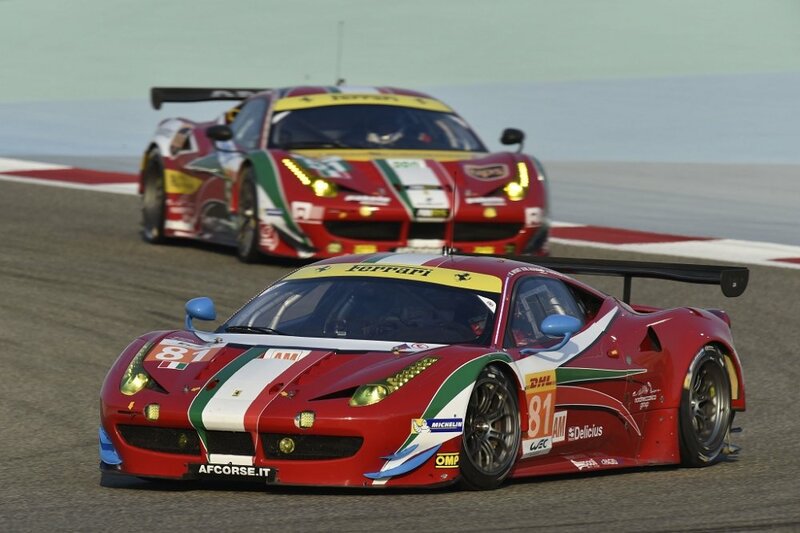 The Ferraris. 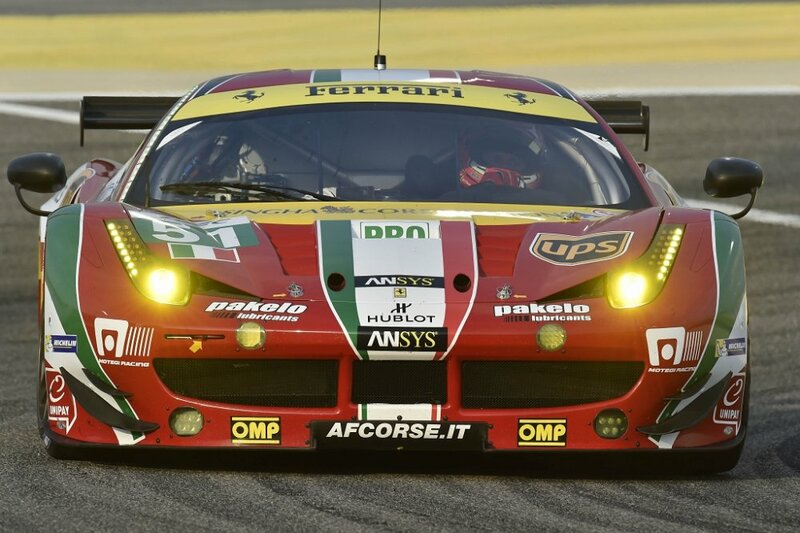 There are five Prancing Horse cars competing across the two GT classes. 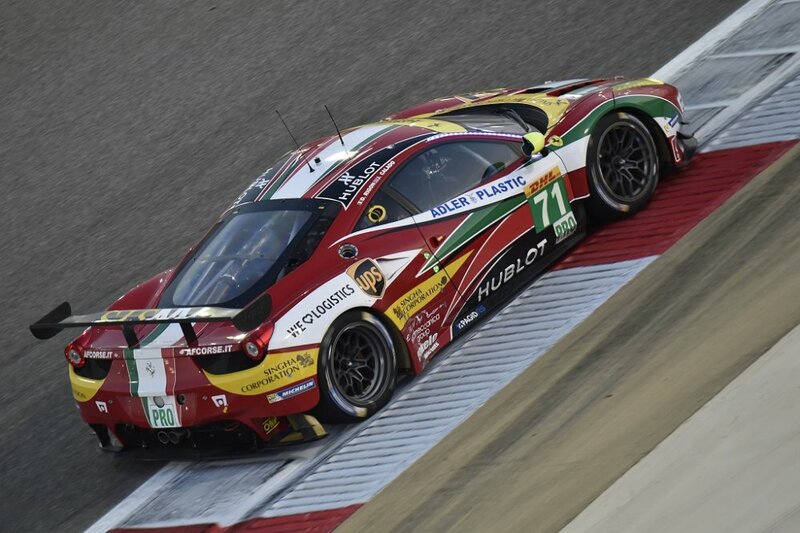 In GTE Pro, apart from Bruni and Vilander in car 51, we have as usual, Davide Rigon and James Calado in the 71 car. 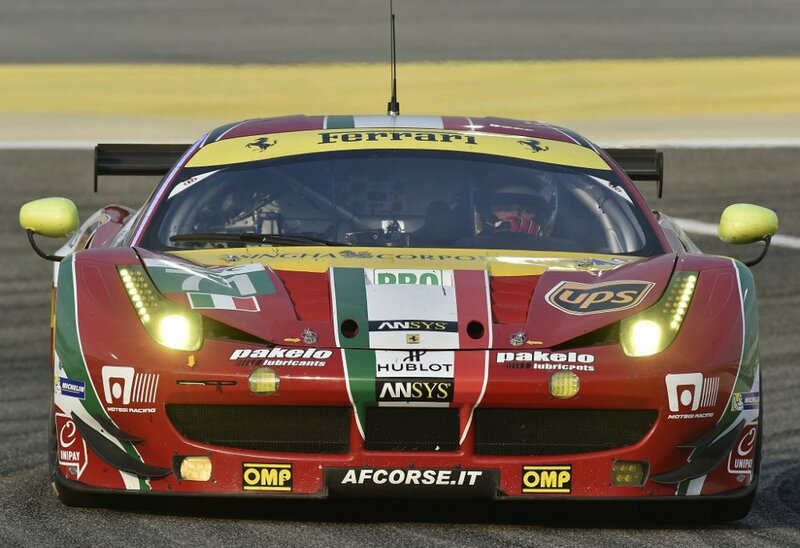 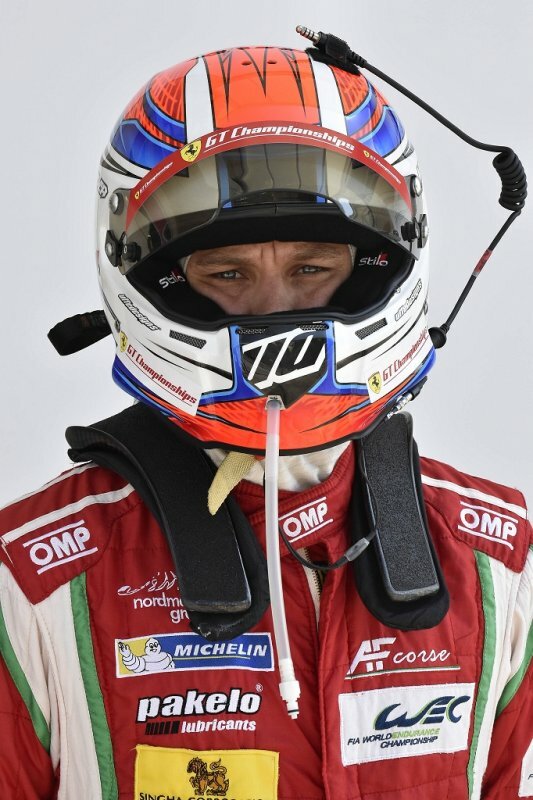 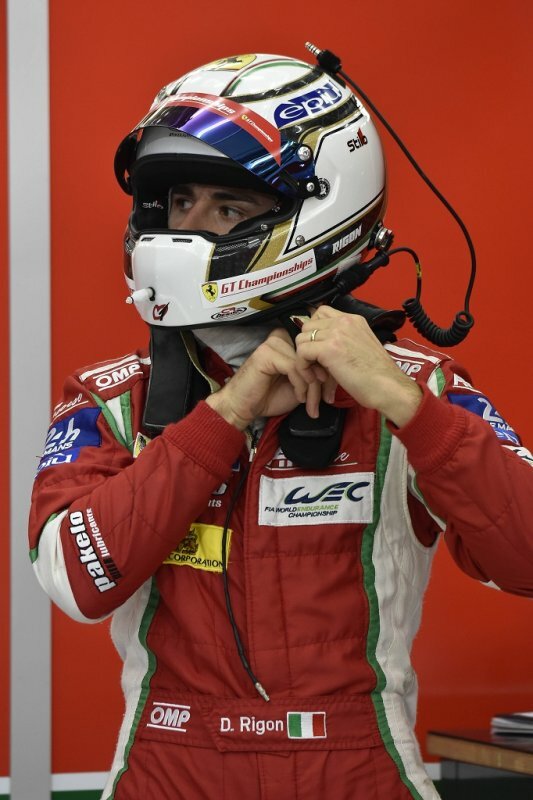 In GTE Am AF Corse are running 61 and 81 for Alexander Talkanitsa, Alessandro Pier Guidi and Jeffrey Segal and Steve Wyatt, Michele Rugolo and Andrea Bertolini, test driver for the Scuderia’s Formula 1 team respectively. 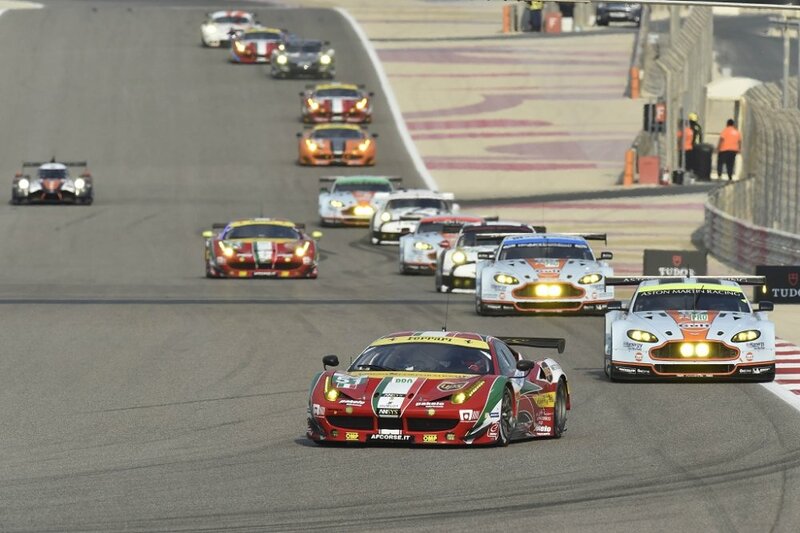 Also on the grid will be the 90 car of 8 Star Motorsports with Gianluca Roda, Paolo Ruberti and Matteo Cressoni. 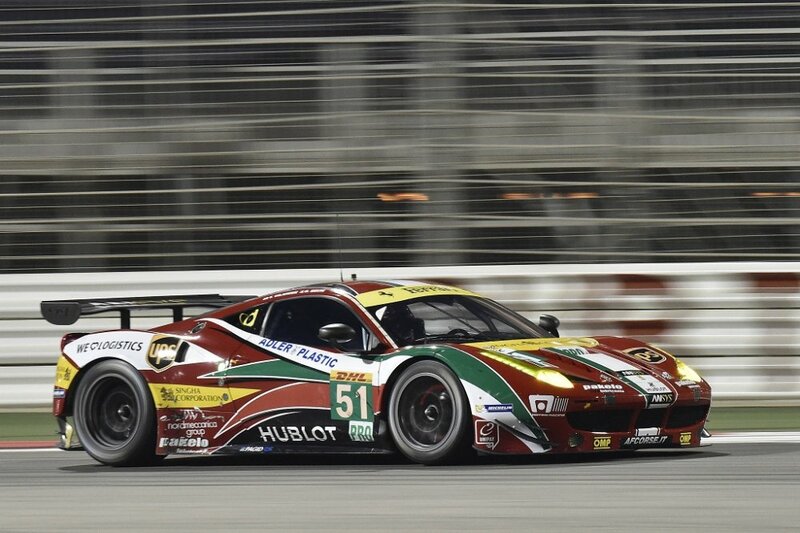 In the past. 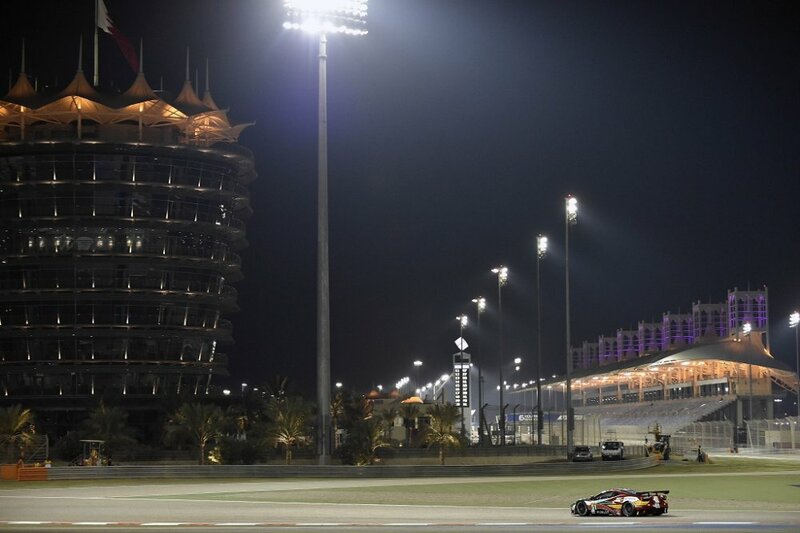 Ferrari has a good track record at Sakhir, mainly because last year, the championship title was secured at this circuit, when it hosted the final race of the season. 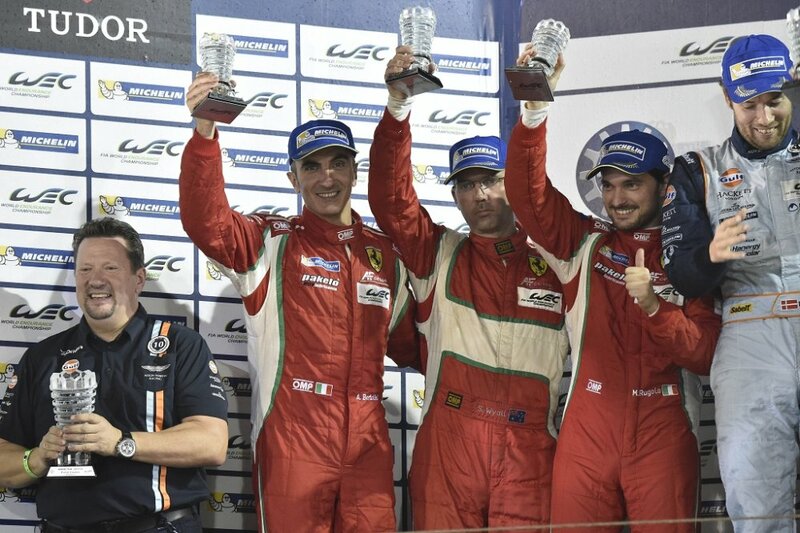 Bruni was the winner, taking the title with Vilander. 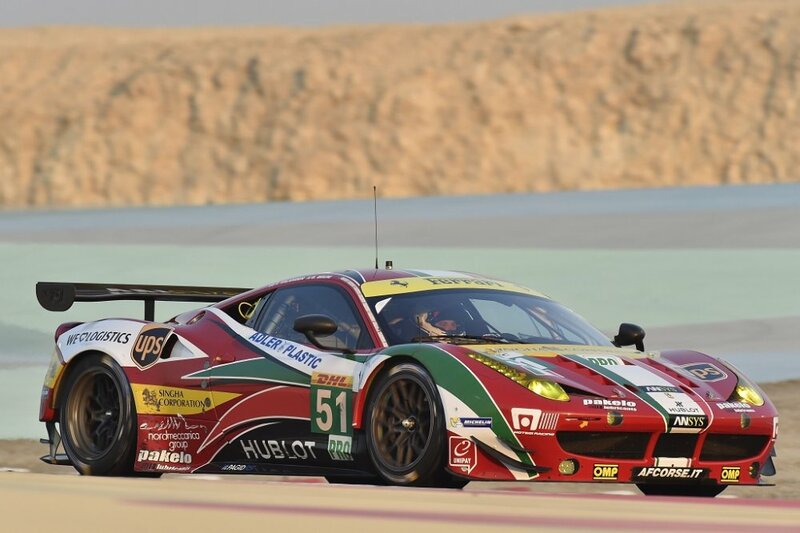 The Finn also won the previous year alongside Giancarlo Fisichella, while the other four wins date back to 2004, specifically the Bahrain GT Festival event. 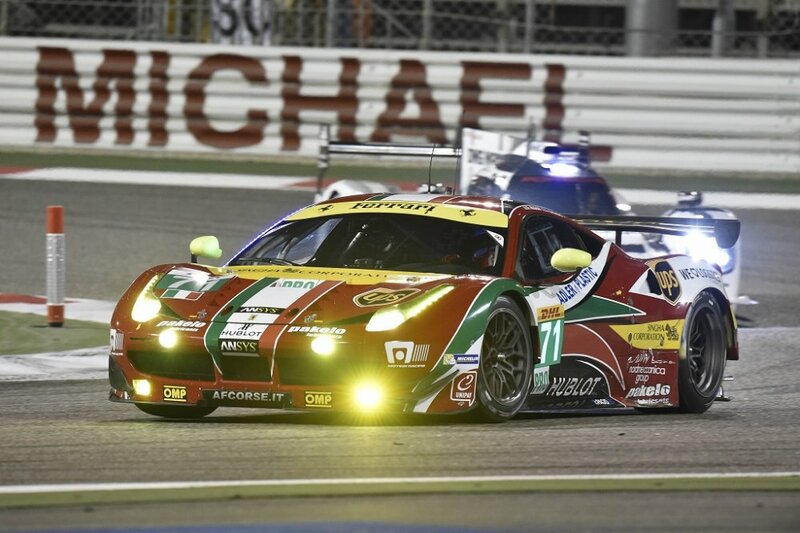 On that occasion, three out of four races were won by the late Allan Simonsen paired with David Brabham at the wheel of a 550 Maranello entered by Coopers Racing. 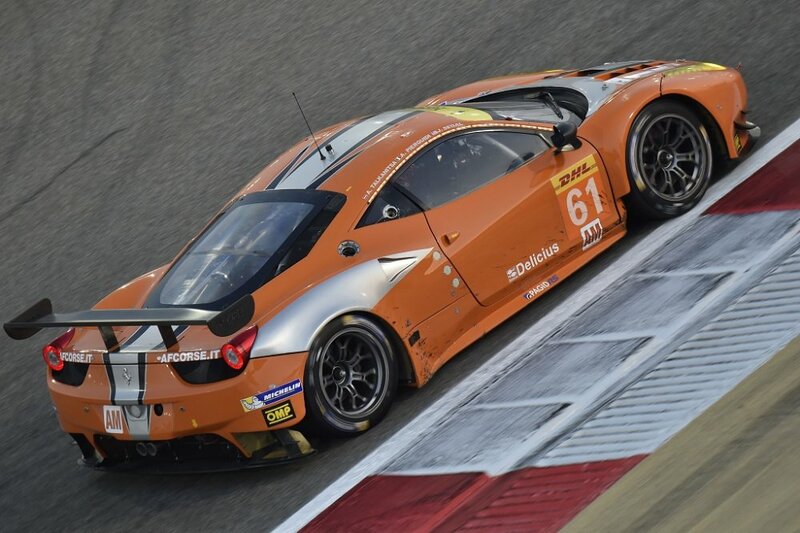 The fourth win came in the GT2 category, courtesy of Sergey Zlobin and Jean-Philippe Belloc in a JMB Racing 360 Modena.